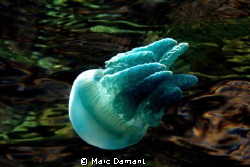 I loved it, I will be back. 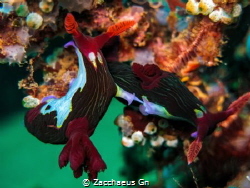 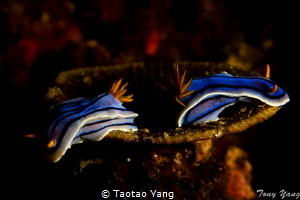 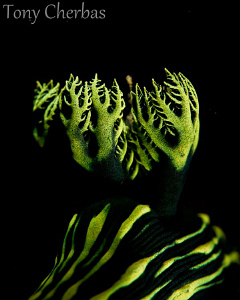 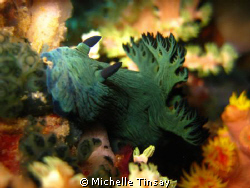 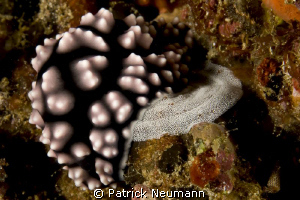 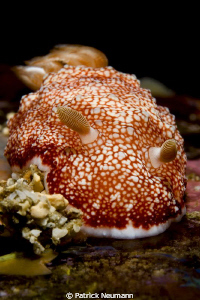 Amazing variety of nudibranchs and coral. 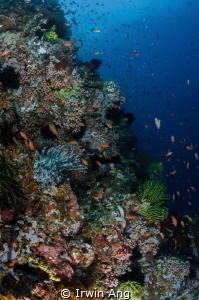 Anilao is in the Philippine Sea. 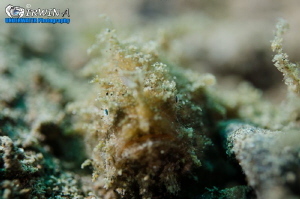 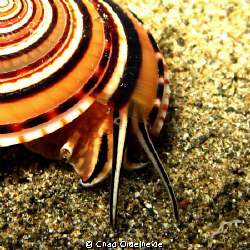 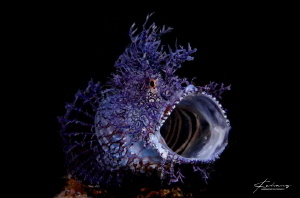 Spiral Shell searching the sand on an Anilao Night Dive. 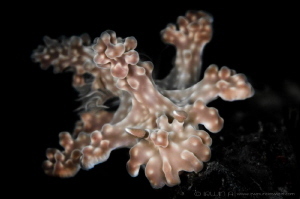 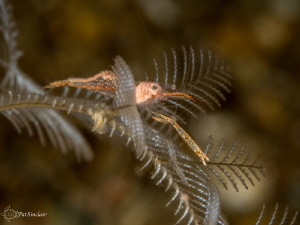 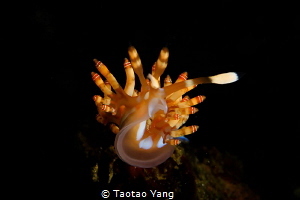 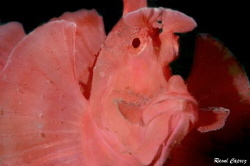 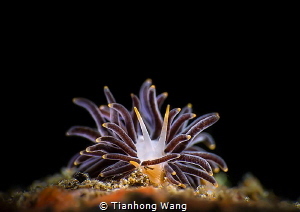 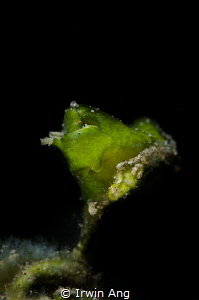 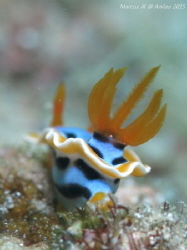 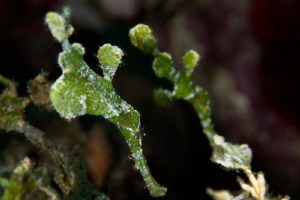 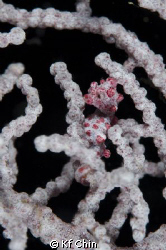 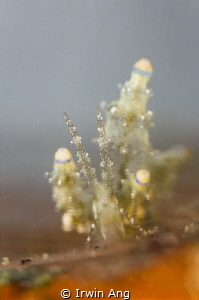 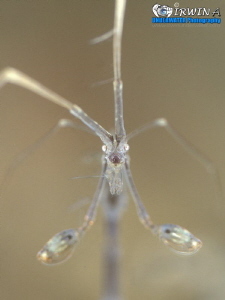 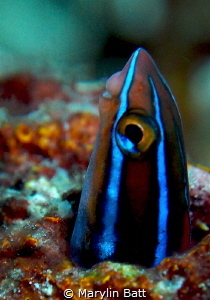 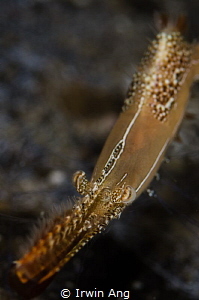 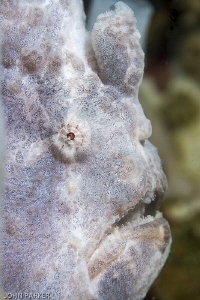 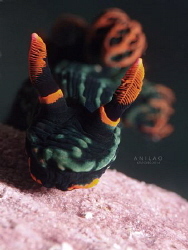 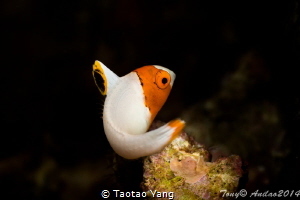 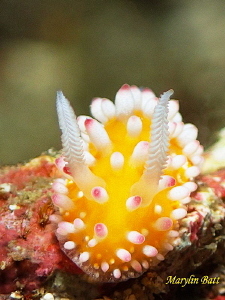 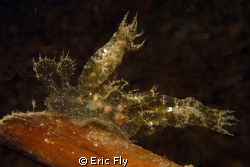 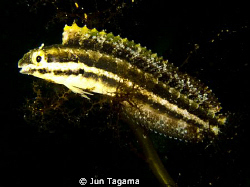 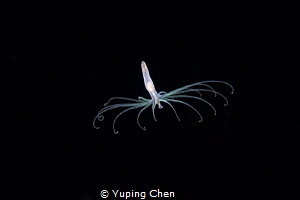 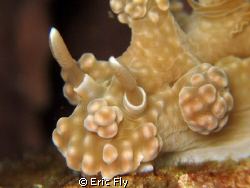 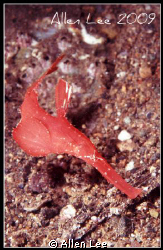 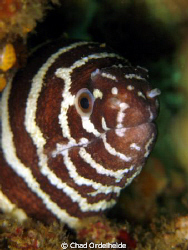 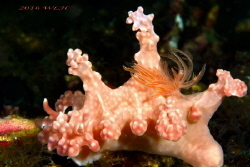 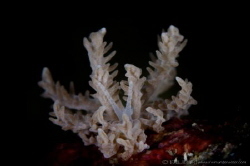 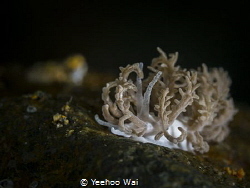 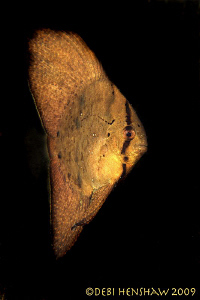 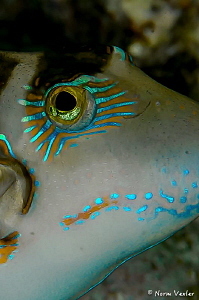 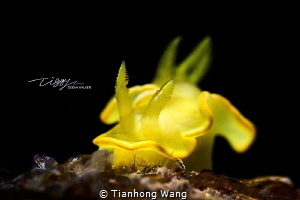 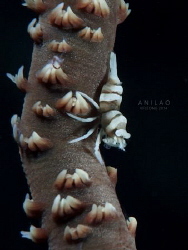 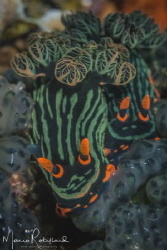 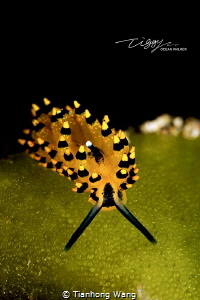 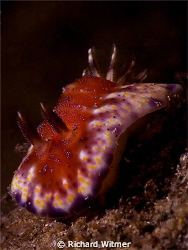 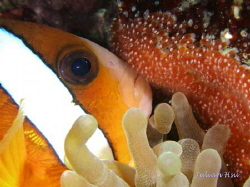 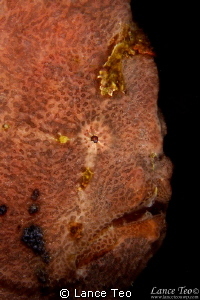 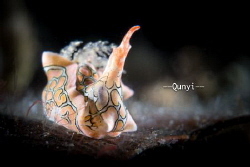 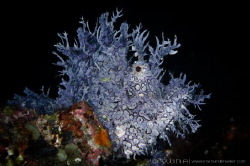 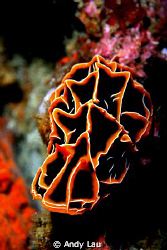 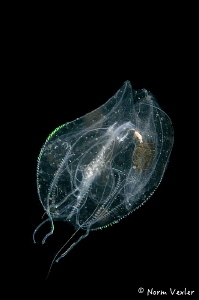 Trinchesia yamasui from Anilao. 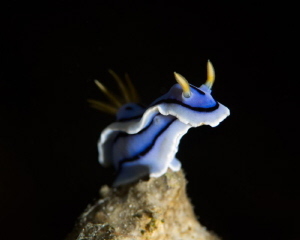 A fun find at the end of the trip! 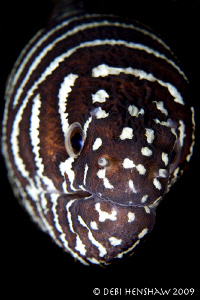 Zebra Moray getting acquainted with my Macro Lens. 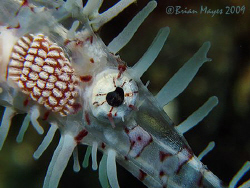 "I spy with my little eye" an Ornate Ghost Pipefish (Solenostomus paradoxus)......¸><((((º>.....Canon G9 & stacked Inon UCL-165 close up lenses. 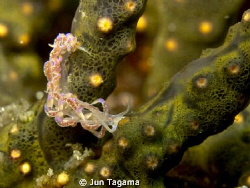 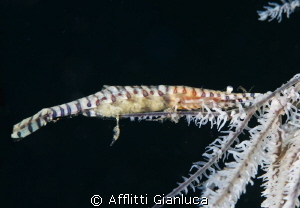 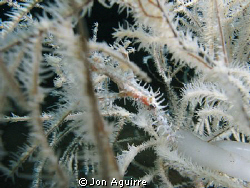 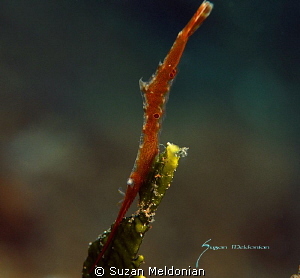 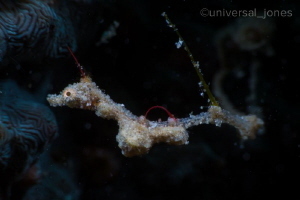 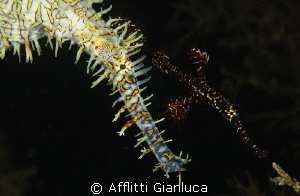 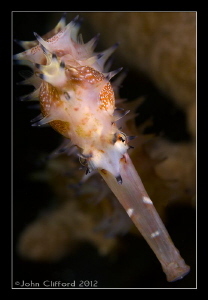 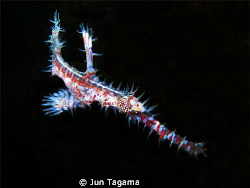 White Ornate Ghost Pipefish shot at Anilao, Batangas. 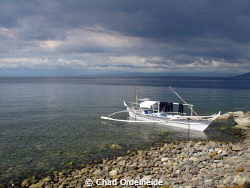 Haunting and gloomy this photo was taken at Anilao, Batangas. 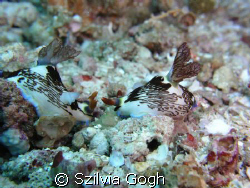 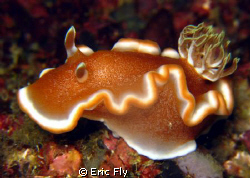 Hypselodoris maculosa. 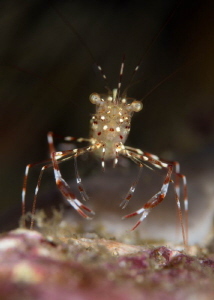 Anilao. 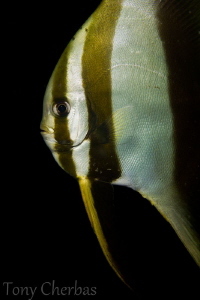 G9/DS160s/Inon UCL165. 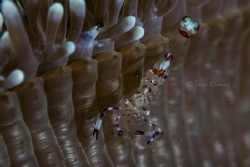 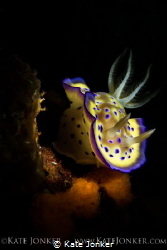 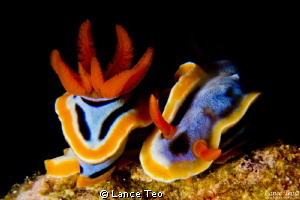 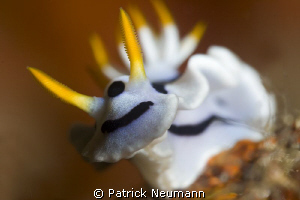 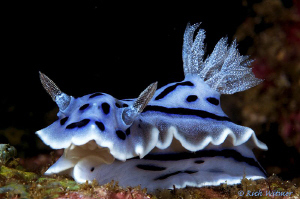 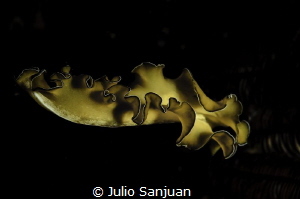 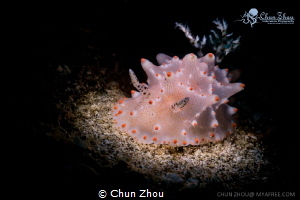 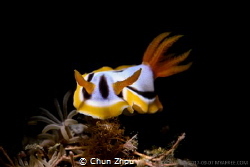 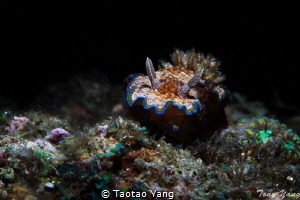 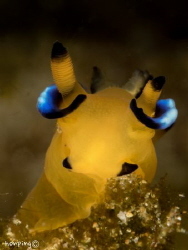 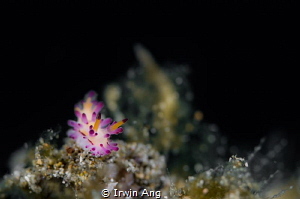 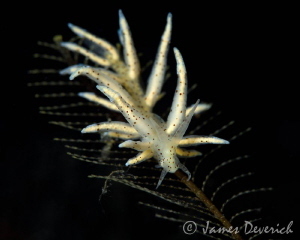 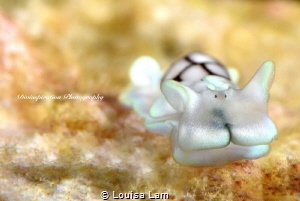 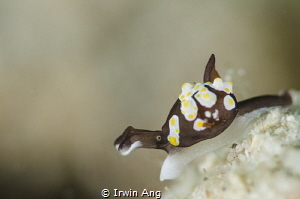 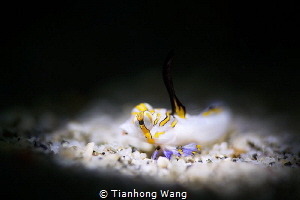 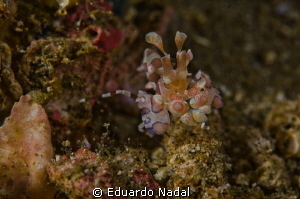 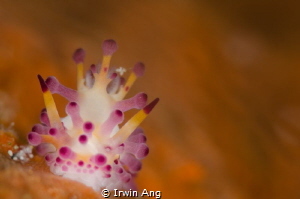 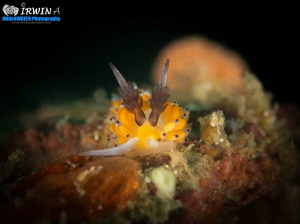 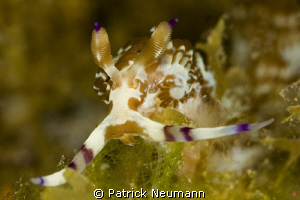 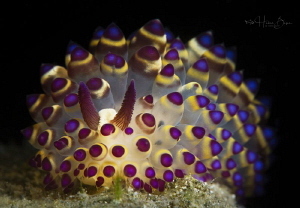 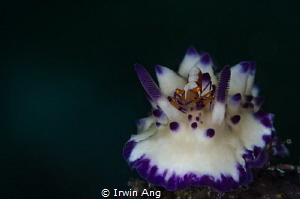 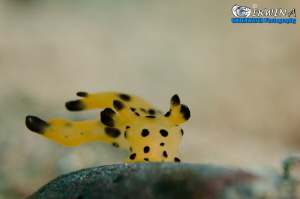 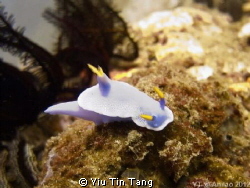 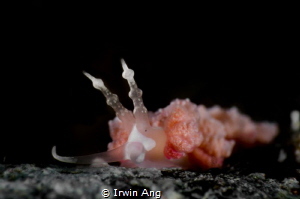 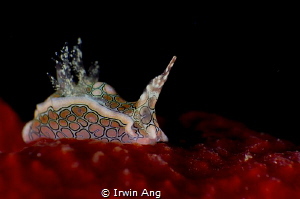 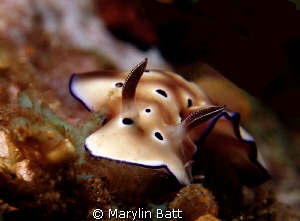 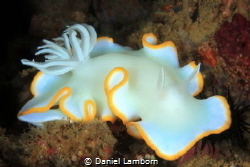 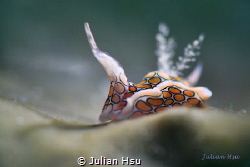 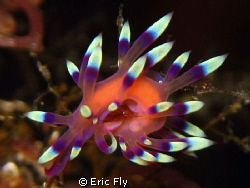 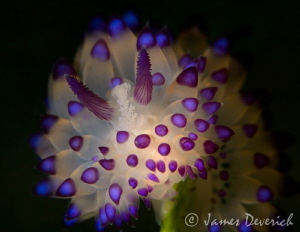 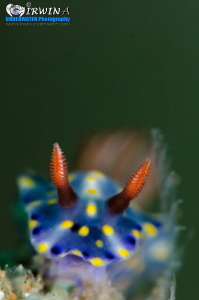 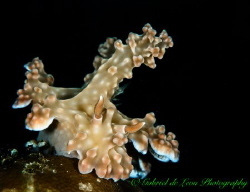 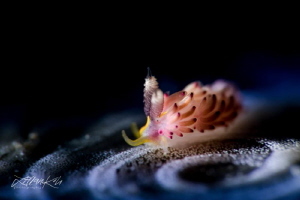 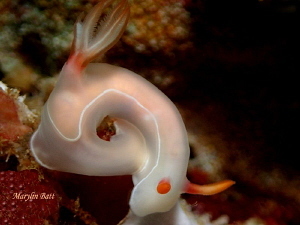 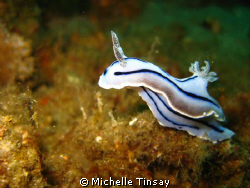 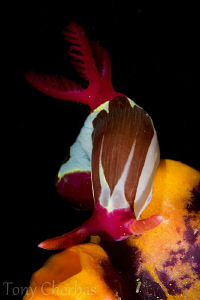 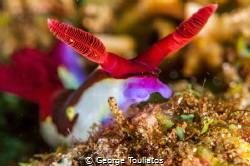 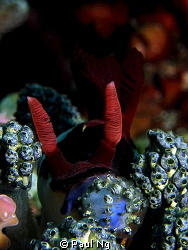 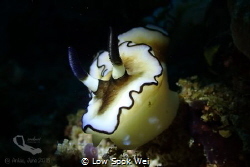 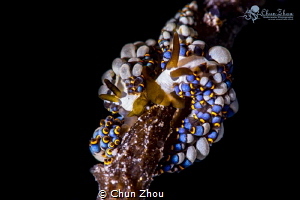 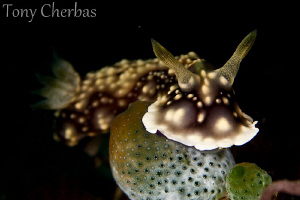 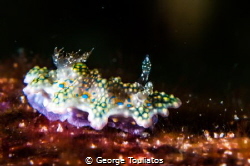 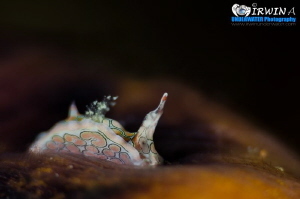 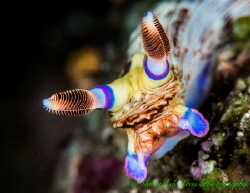 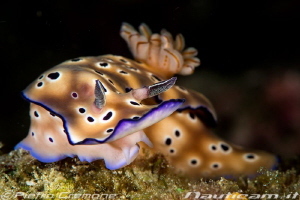 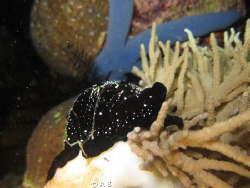 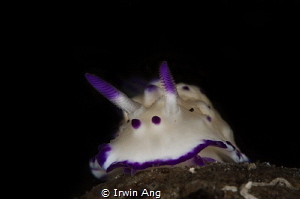 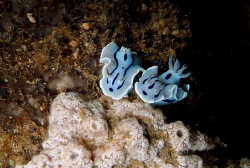 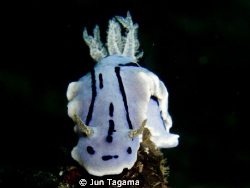 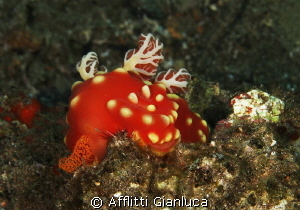 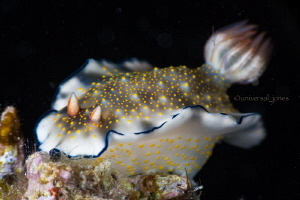 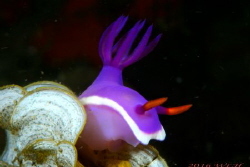 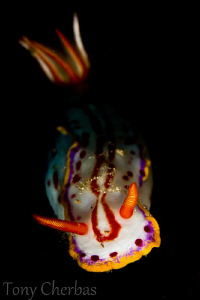 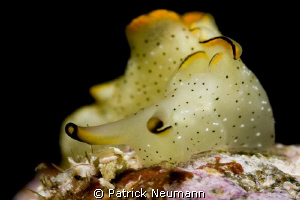 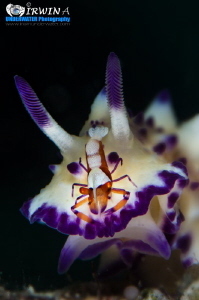 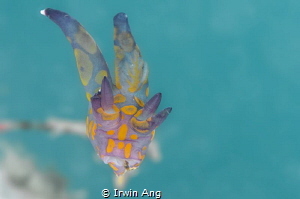 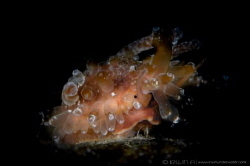 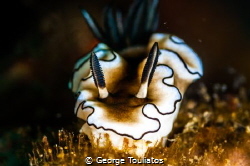 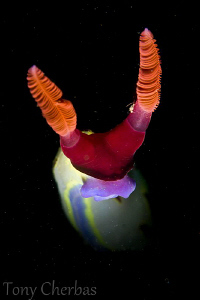 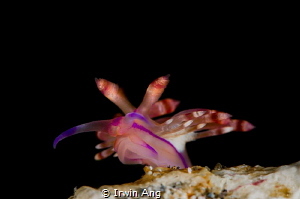 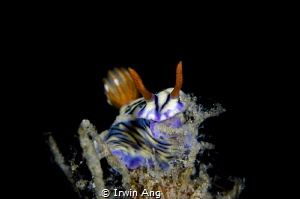 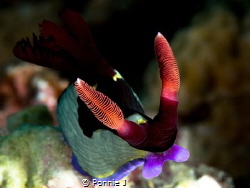 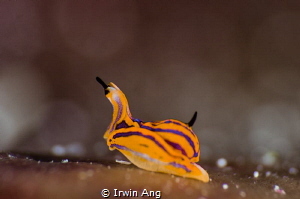 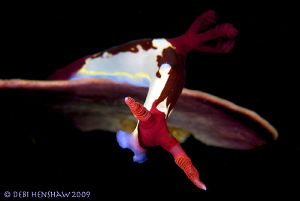 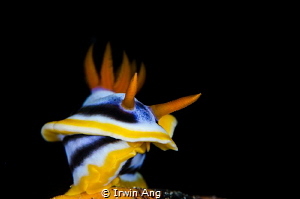 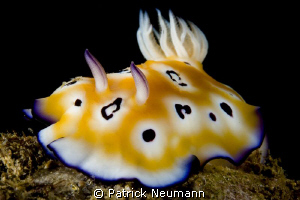 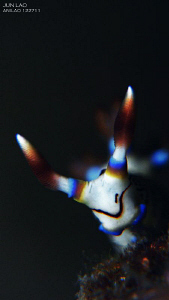 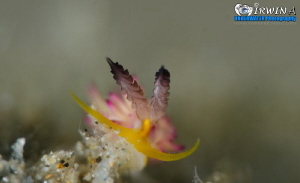 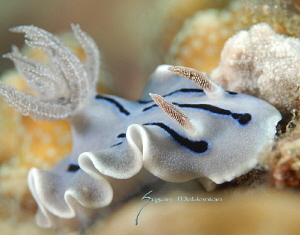 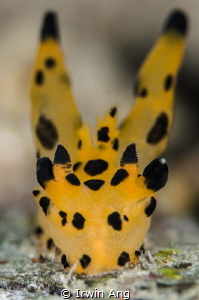 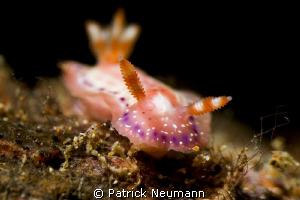 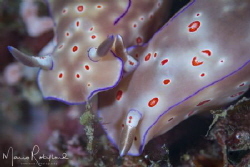 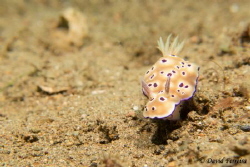 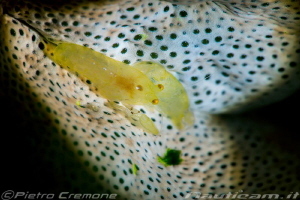 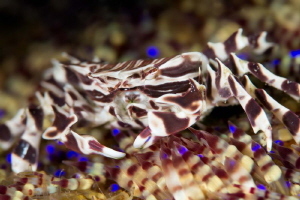 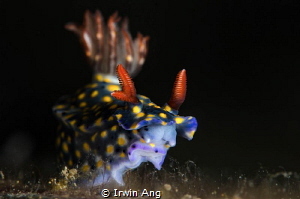 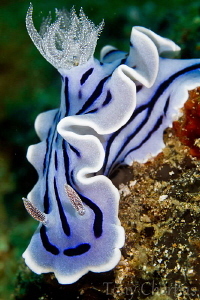 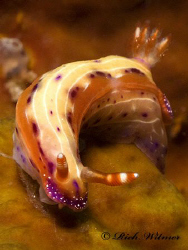 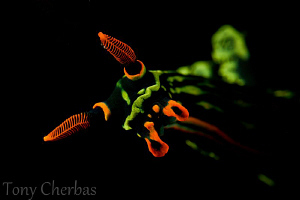 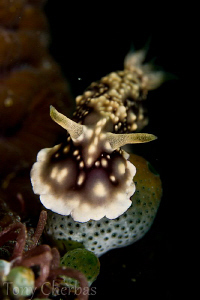 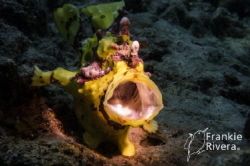 Beautiful Nudi on a night dive in Anilao. 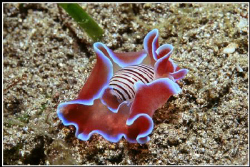 Species? 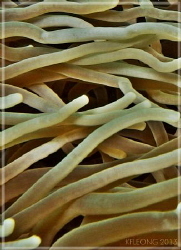 G9/DS160s/Stacked Inon UCL165s. 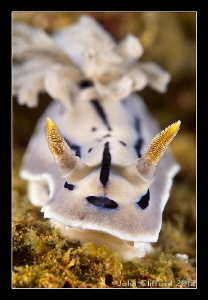 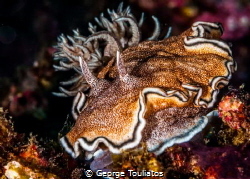 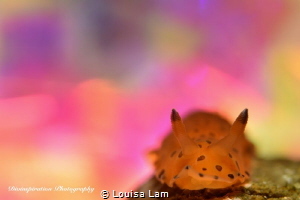 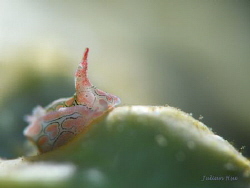 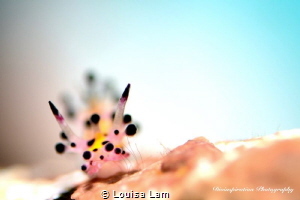 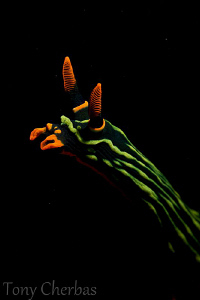 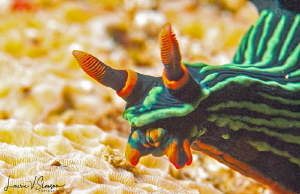 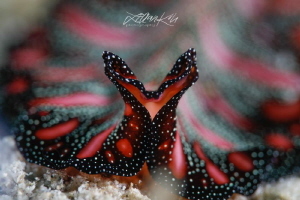 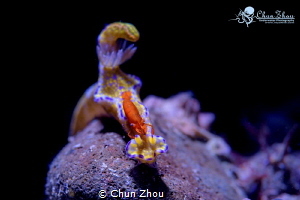 Dive site: Batok in Anilao Batangas Canon Digital Elph SD 1100IS This Nudibranch is 3 inches long! 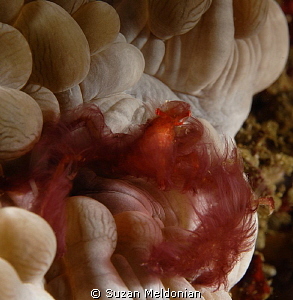 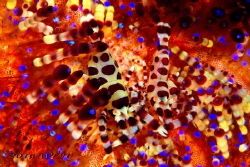 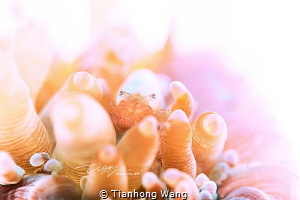 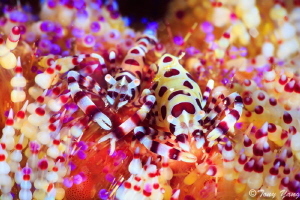 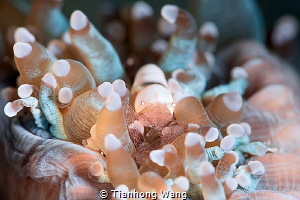 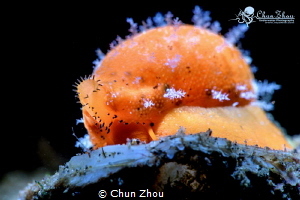 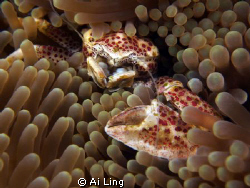 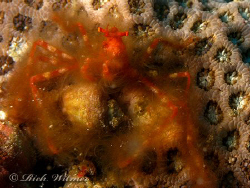 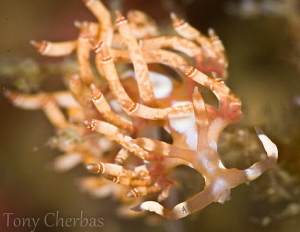 Orangutan Crab (Achaeus japonicus) in Anilao, Philippines. 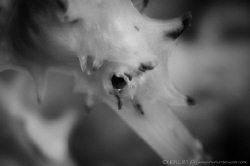 "The Eye of the Cowrie"
Who says B&W is boring! 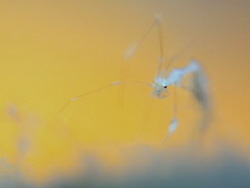 I'm scared of heights!!! 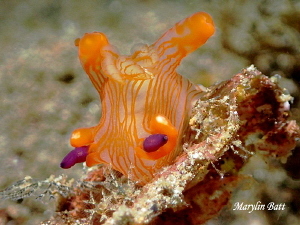 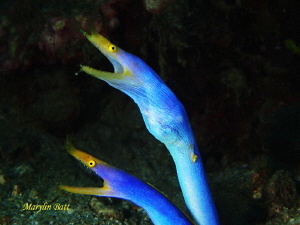 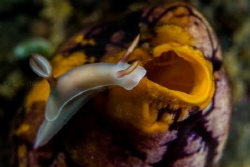 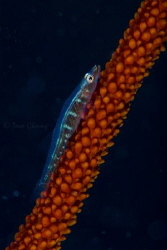 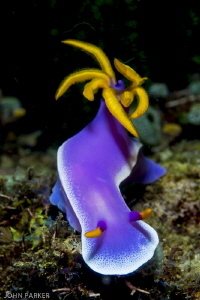 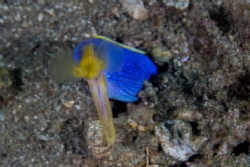 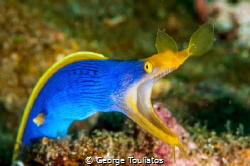 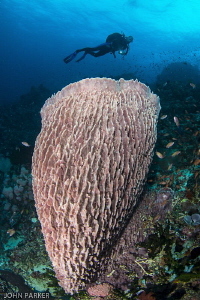 Taringa halgerda, Anilao Philippines. 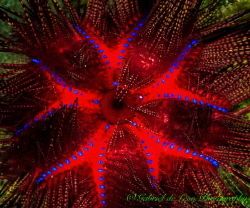 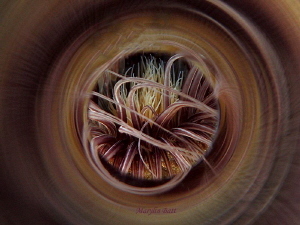 "Creative Lighting" Tube anemone shot with just my torch light, slow shutter speed and wide aperture! 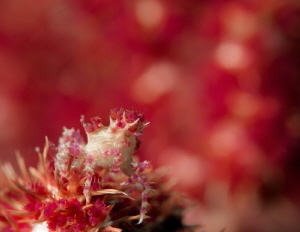 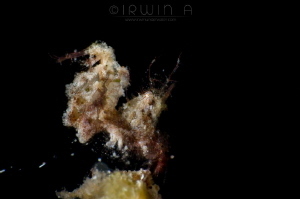 "Reflection" Sargassum Frogfish at a very swelly surface which is why I have some motion blur around his fins! 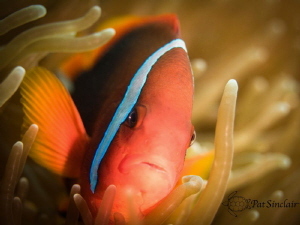 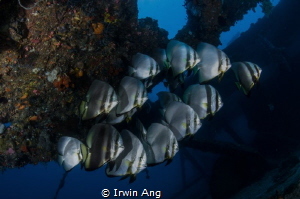 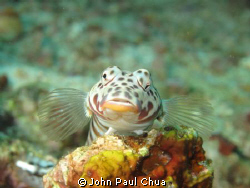 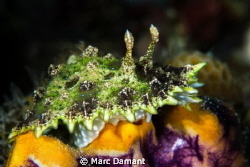 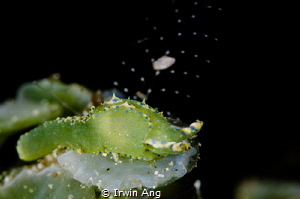 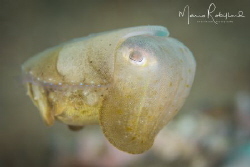 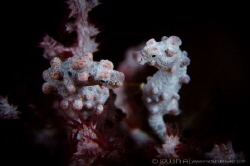 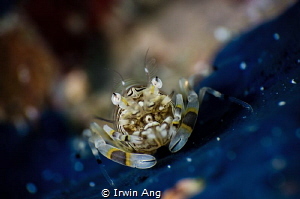 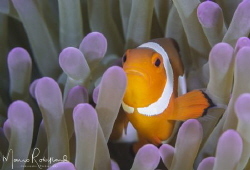 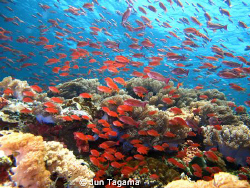 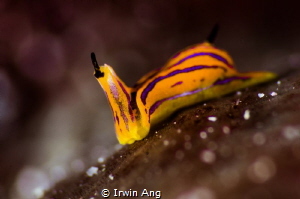 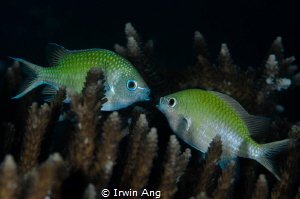 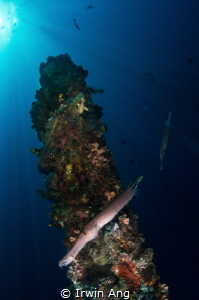 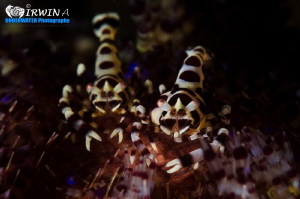 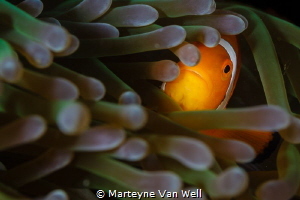 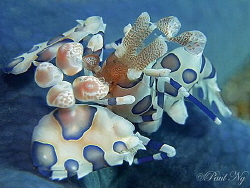 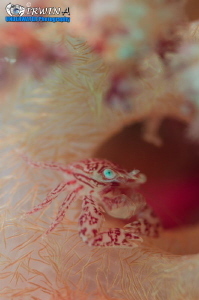 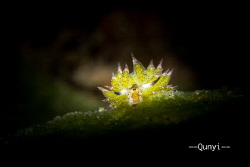 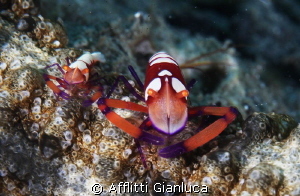 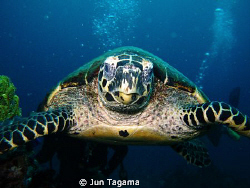 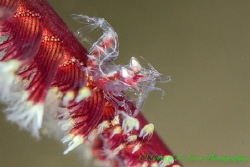 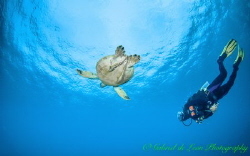 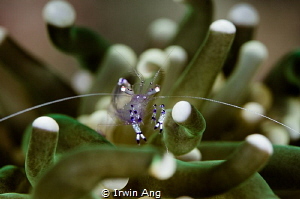 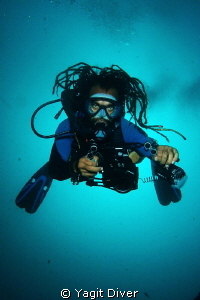 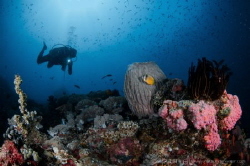 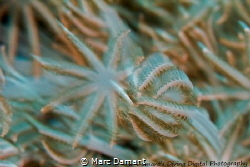 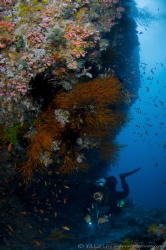 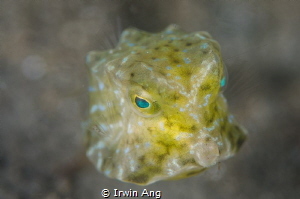 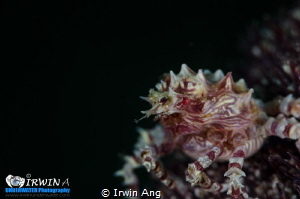 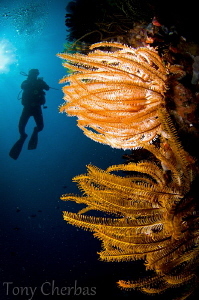 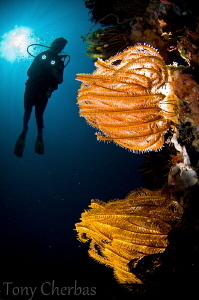 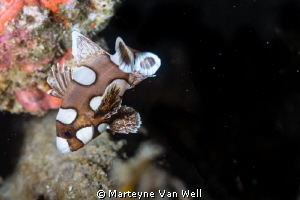 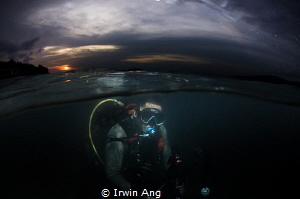 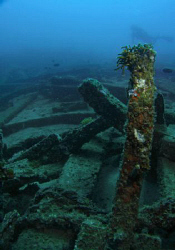 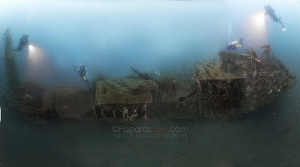 A dive trip down to Anilao, 2.5h south of Manila, Philippines by or dive group MAD, Manila Aqua Divers. 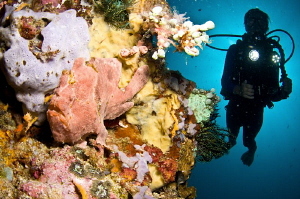 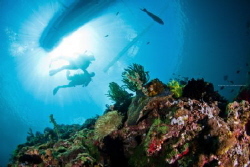 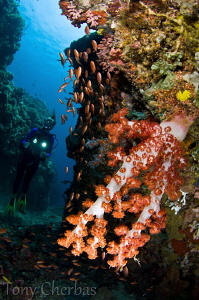 Anilao is a paridise to dive in. 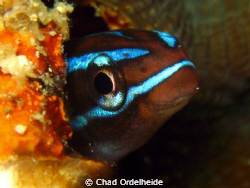 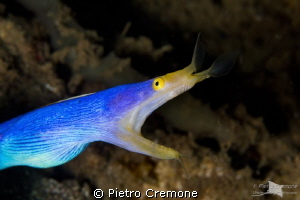 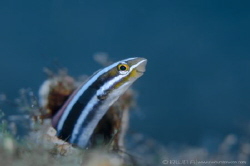 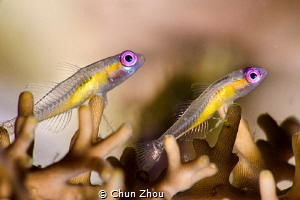 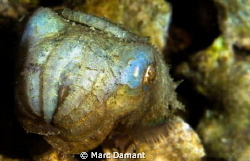 A Blue Blenny for the new year! 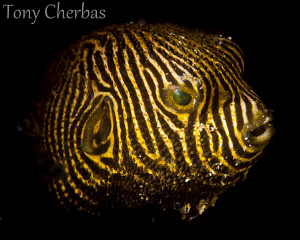 "Golden Glory" I have no idea who this little fella is - it was only about 3 Inches tall - a juvenile batfish yes but what sort? 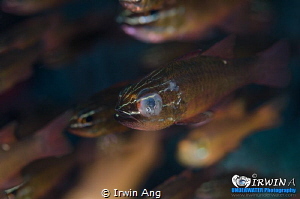 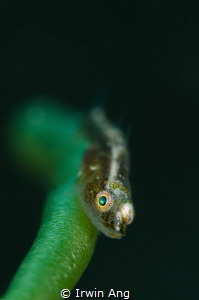 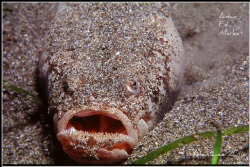 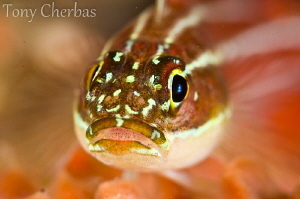 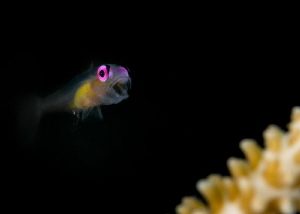 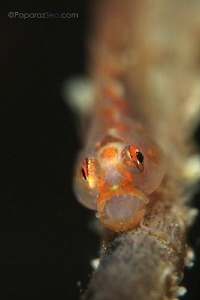 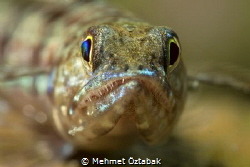 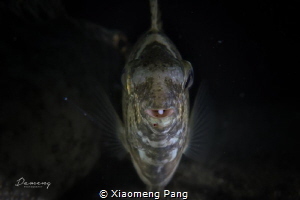 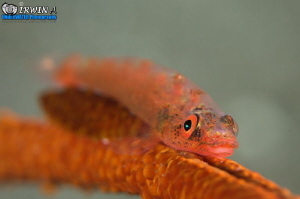 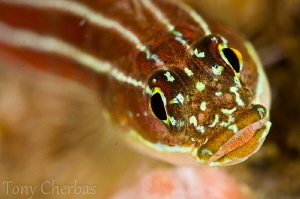 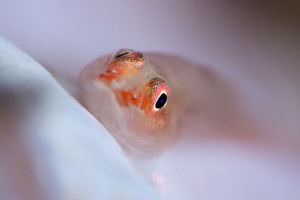 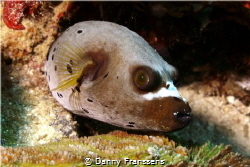 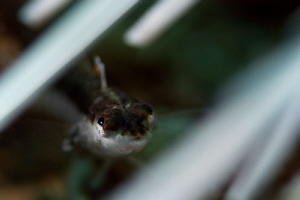 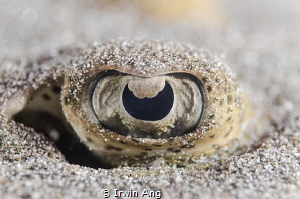 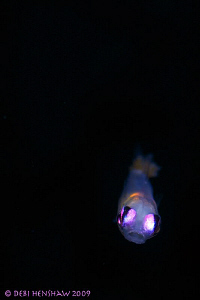 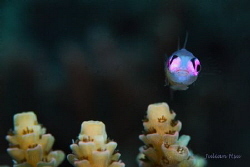 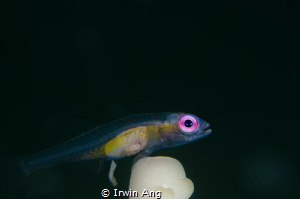 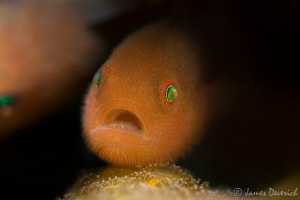 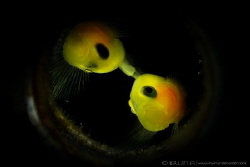 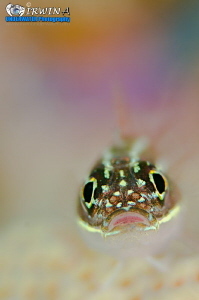 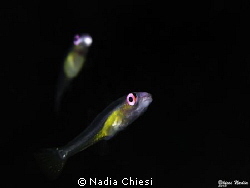 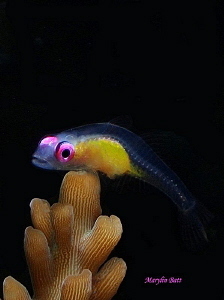 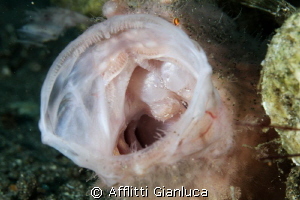 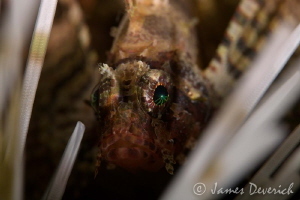 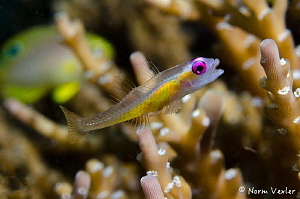 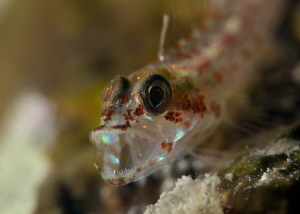 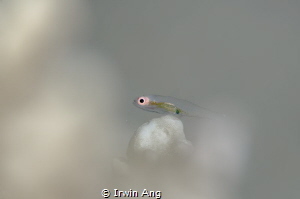 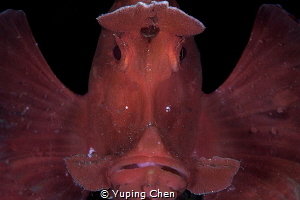 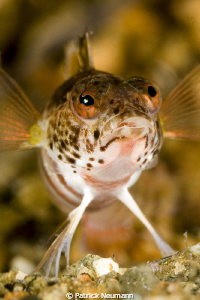 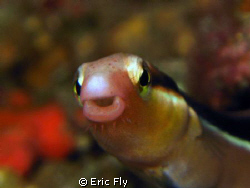 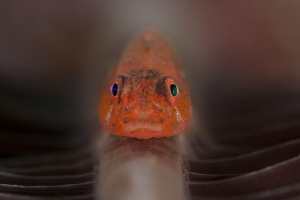 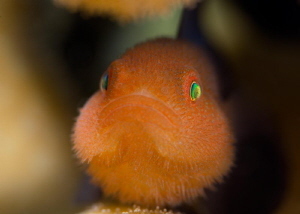 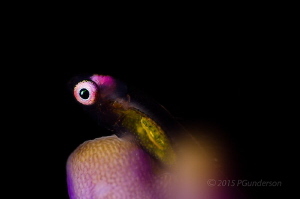 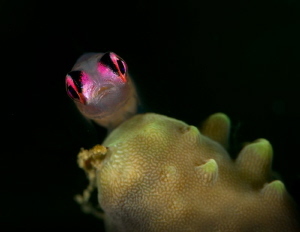 "Dead Centre" Pink Eyed Goby face on. 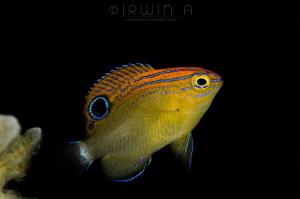 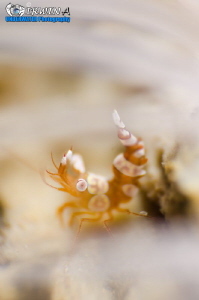 This guy is only 3cm and I spent an entire dive just trying to catch them with my 105mm! 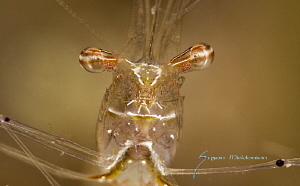 My first try with my new HD Sony and Amphibico housing. 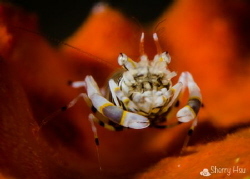 Porcelain Crab shot with a Nikon d300, 105mm lens, and SubSee +10 adapter. 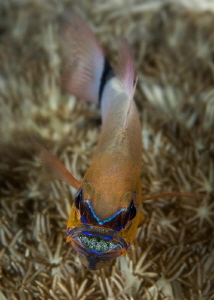 Club O...Those who know, go! 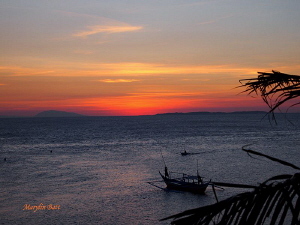 An oldy from Anilao taken with the Casio Exilim. 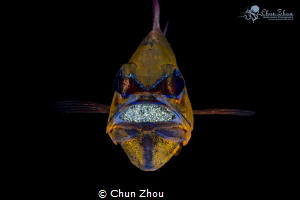 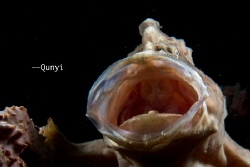 A fish in Philippine Sea, one strobe. 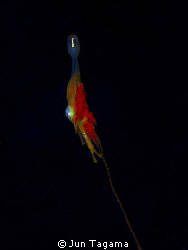 Juvenile Jellyfish - ID please?? 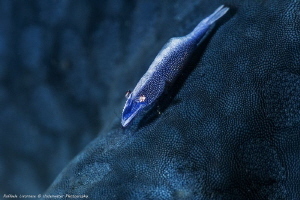 Lighting of the blue spotted stingray was difficult and limited to the foreground since it was hiding in a crevice. 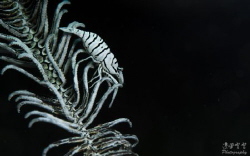 Skeleton Fight! 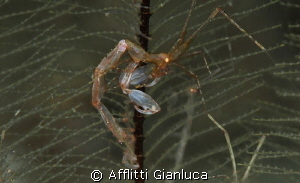 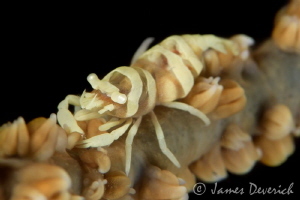 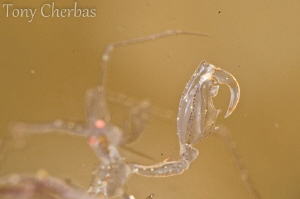 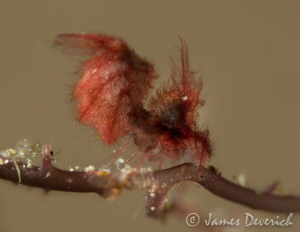 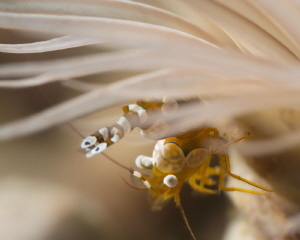 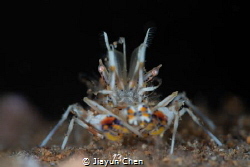 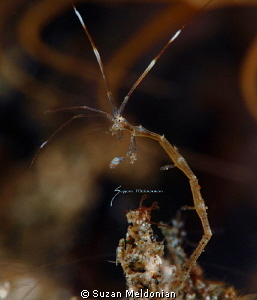 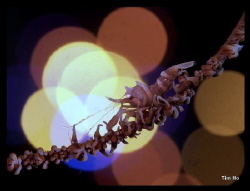 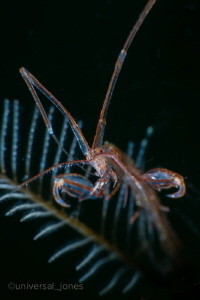 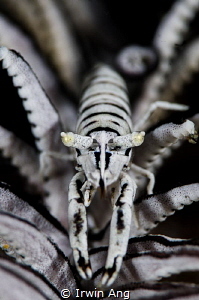 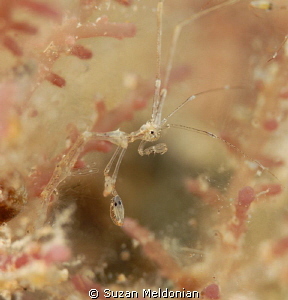 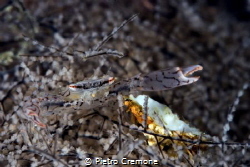 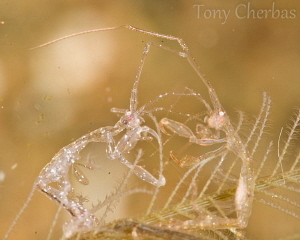 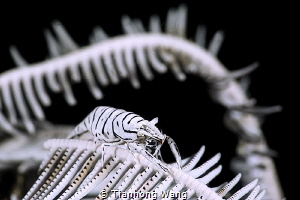 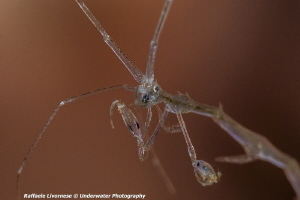 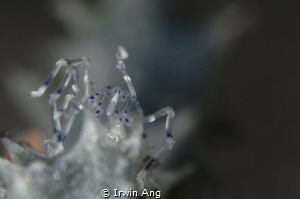 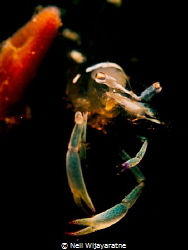 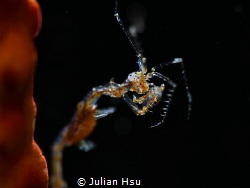 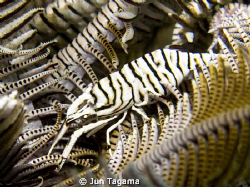 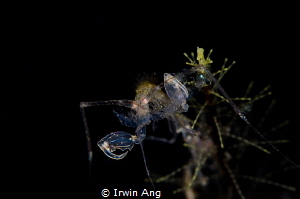 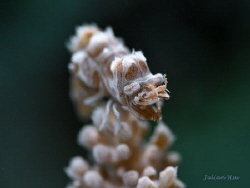 Two skeleton shrimp in a boxing match. 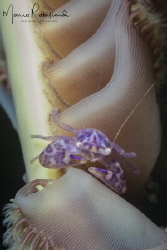 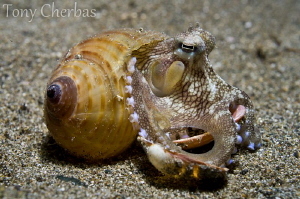 Coconut Octopus impersonating a Hermit Crab. 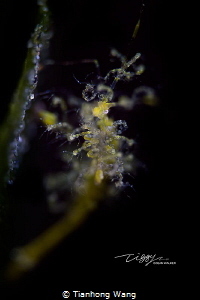 S95 - stacked close-up lenses + handheld torch...no photoshop / lightroom used. 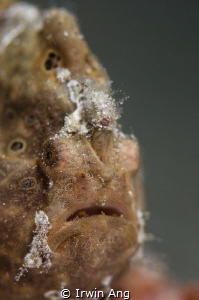 Ugh, I think I ate a bug ! 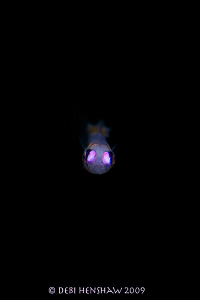 Closest I could get without spooking him off. 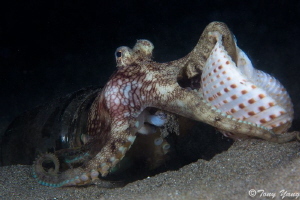 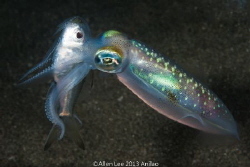 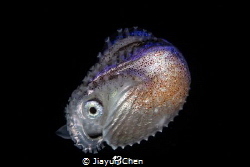 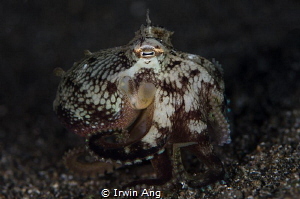 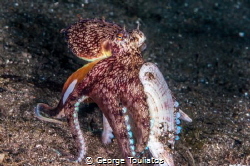 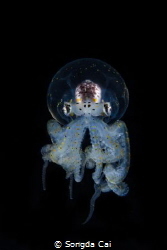 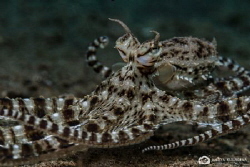 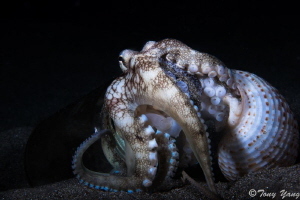 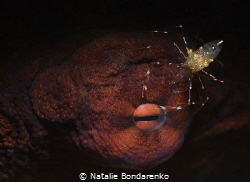 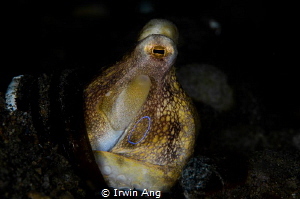 Lil' Monster: Coconut Octopus eating a bivalve (lit with snoot). 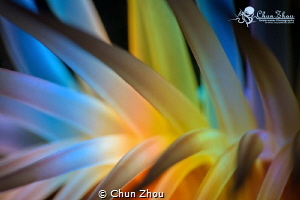 Canon S95 - with no strobes, no photoshop, no lightroom (uncropped). 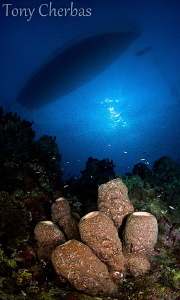 Sponge patch under the boat in the early AM. 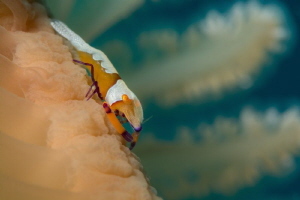 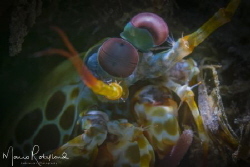 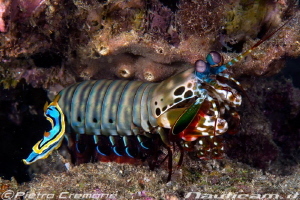 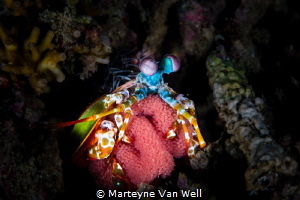 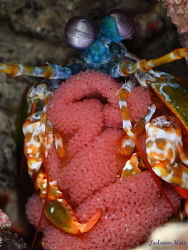 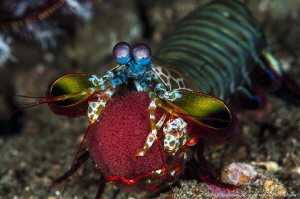 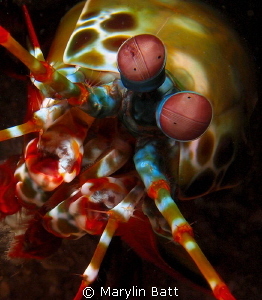 Lovely Peacock Mantis Shrimp, Anilao. 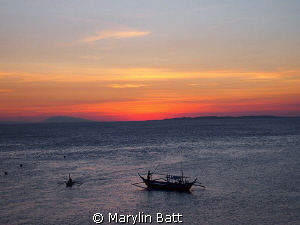 Beautiful sunset after a day if diving in Anilao, dive boats just being moored for the night. 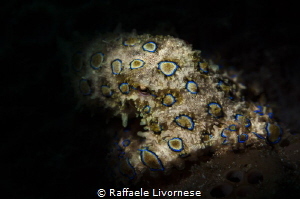 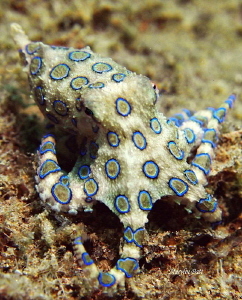 Lovely Blue ringed Octopus came out to pose in the daylight. 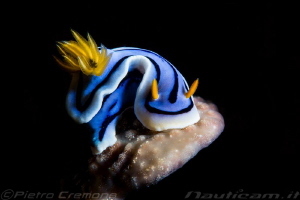 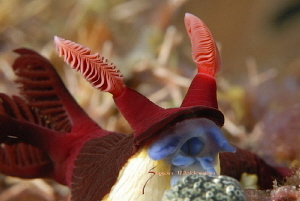 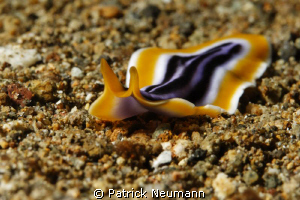 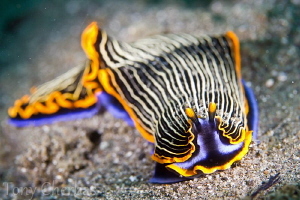 Chromodoris coi, this beautiful creature posed so nicely. 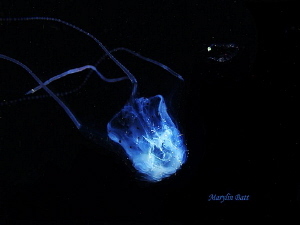 Jelly on Oiled Canvas. 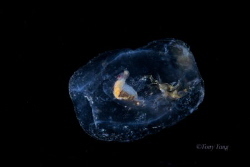 This Jellyfish was just below the surface with slightly choppy water. 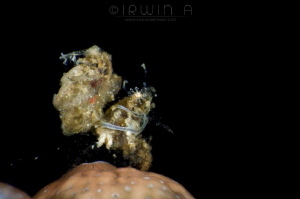 This allowed the rock face from above to be reflected by the surface giving it the oiled look. 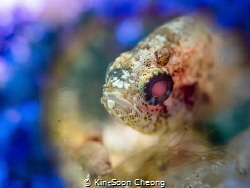 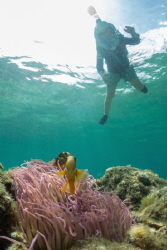 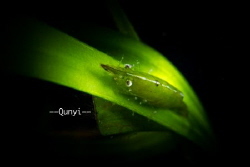 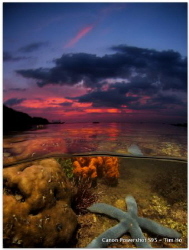 Taken with a Canon T2I, tokina 10-17mm in a Aquatica Housing. 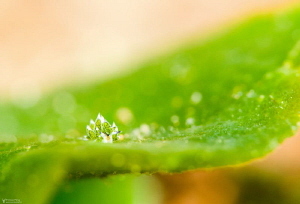 Very Little but Pretty ! 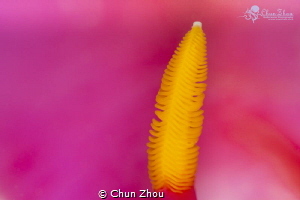 Very difficult shot, because very very little , and with my canon G12 and 2 macro lens ( + 6 and +8 ) is very crazy the exactly maf! 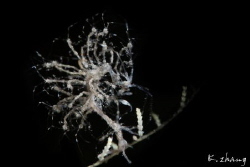 Underwtaer Flying Spaghetti Monster! 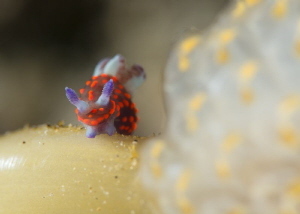 This colourful little Nudibranch on the tunicates reminded me of pictures of the above titled monster and the colours of it really are out of this world! 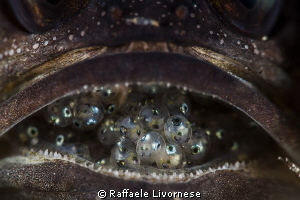 A new life is coming!!! 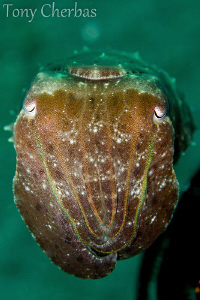 This Cuttlefish was so cute that we had to take a picture! 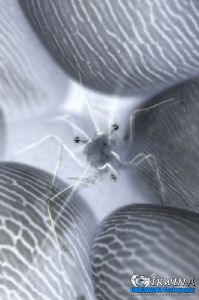 Mantis with eggs in Anilao Uncropped photo taken on Canon S95 with stacked close-up lenses. 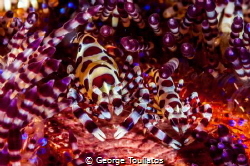 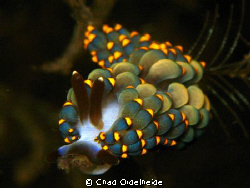 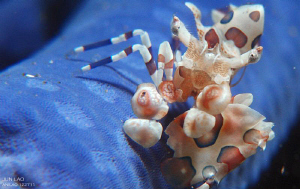 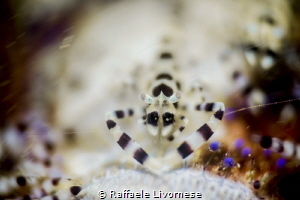 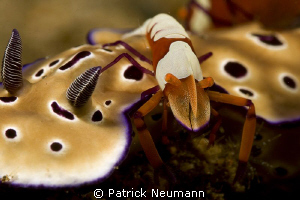 This Harlequin Shrimp posed regally for a couple minutes before scampering off to its hiding place. 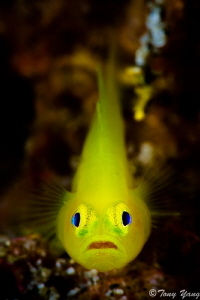 Highlighter of the Sea! 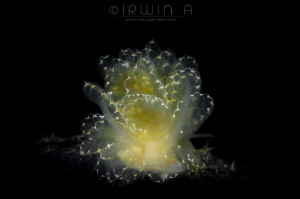 These Tunicates sure stood out on night dives. 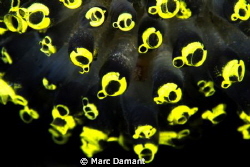 As soon as your light hit them you would be mesmorized by their neon glow! 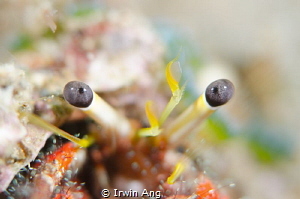 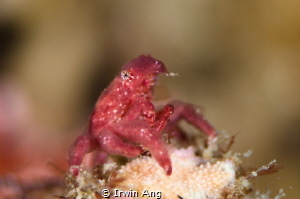 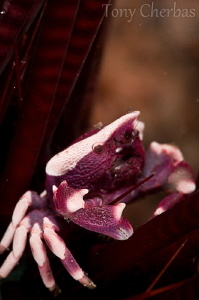 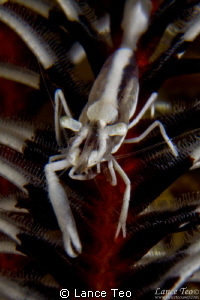 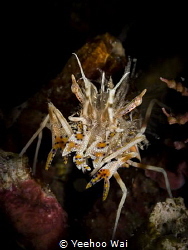 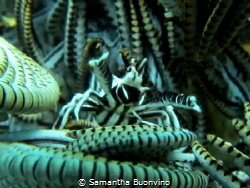 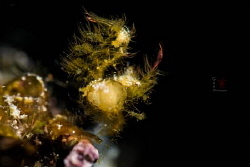 Squat lobster (crinoid crab) directing his orchestra. 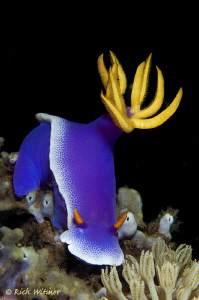 Musica Maestro! 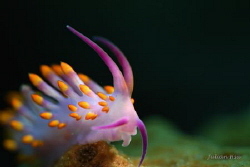 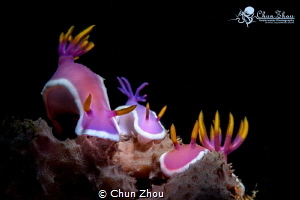 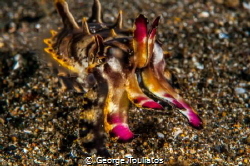 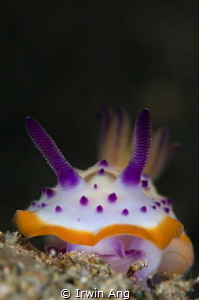 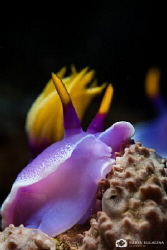 S M I L E Beautiful Nudibranch (Favorinus pacific us) Pink, Grey & Yellow. 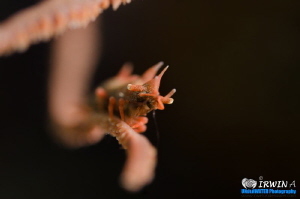 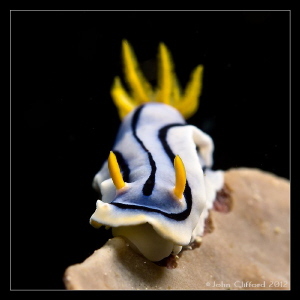 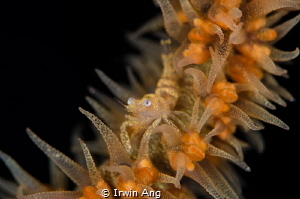 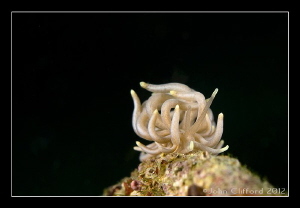 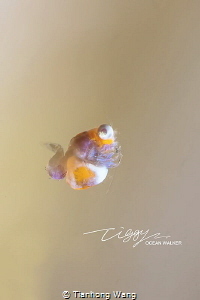 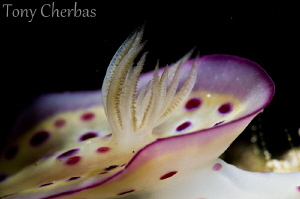 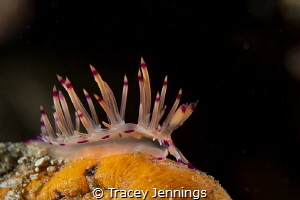 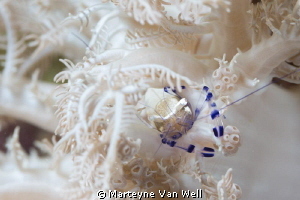 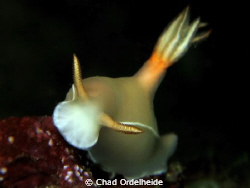 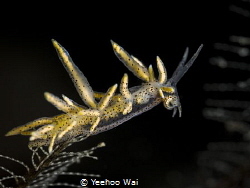 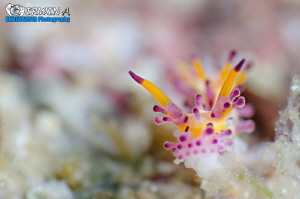 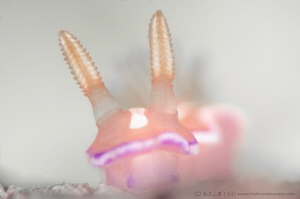 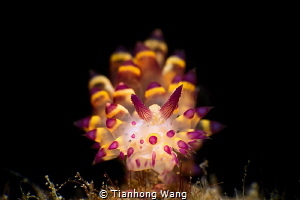 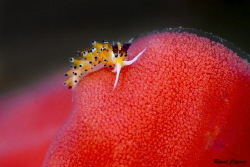 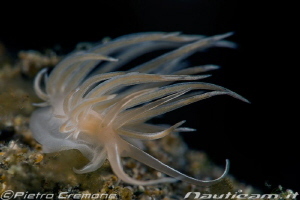 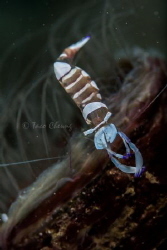 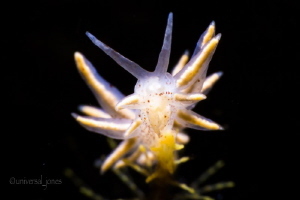 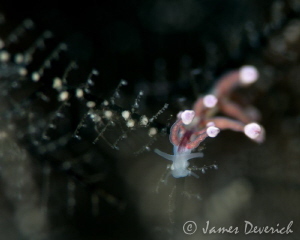 Try hard on this 2mm flabellina! 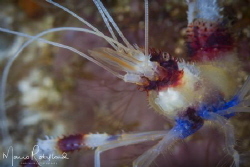 S P O T Idiomisys Anilao, Philippines. 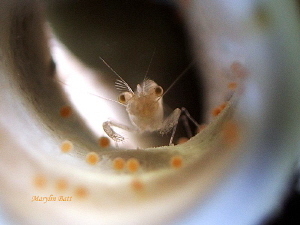 August 2014 P/S: Is that something between in my eyes? 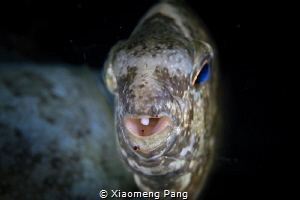 A face only a mother could love .. 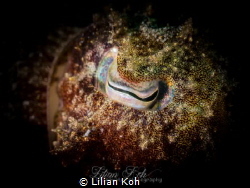 Wish upon a star ..
Juvenile Broadclub cuttlefish at Anilao. 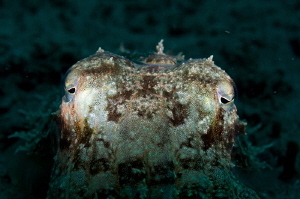 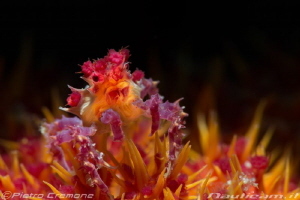 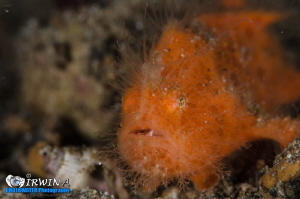 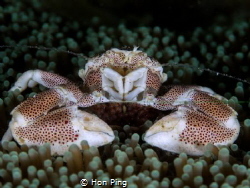 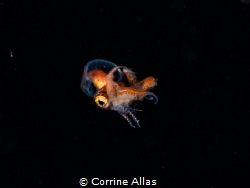 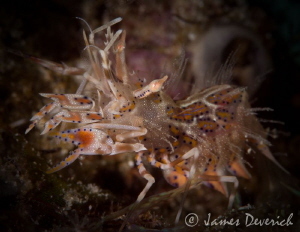 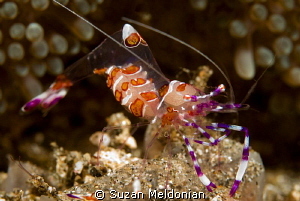 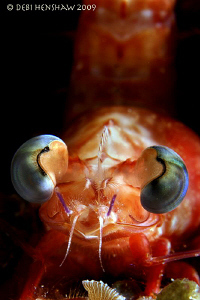 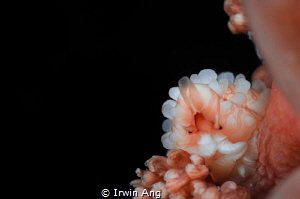 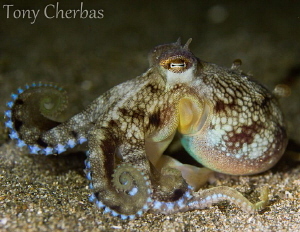 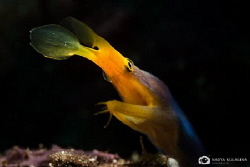 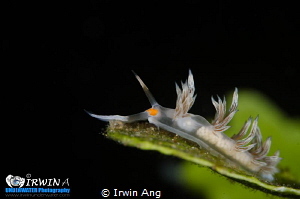 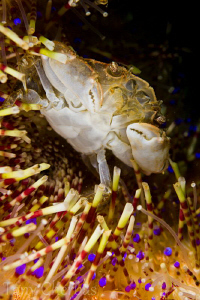 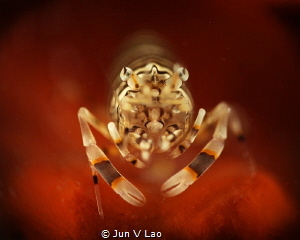 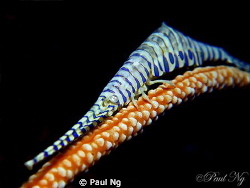 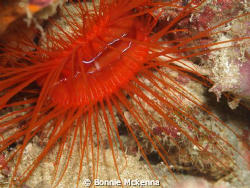 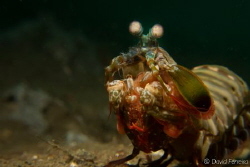 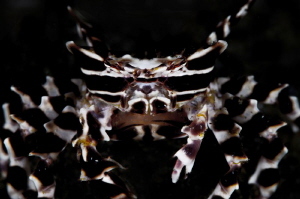 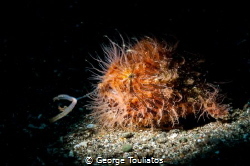 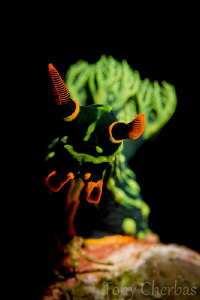 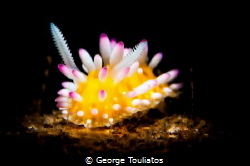 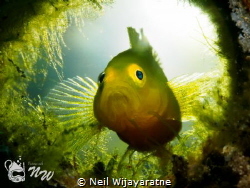 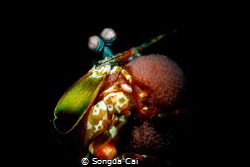 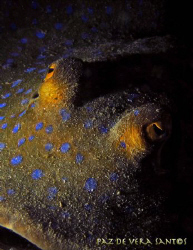 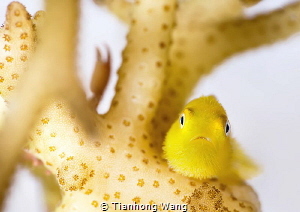 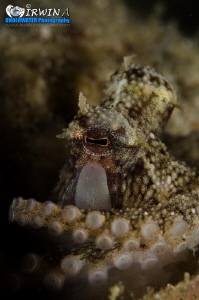 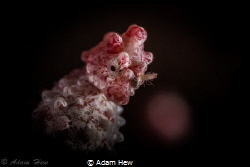 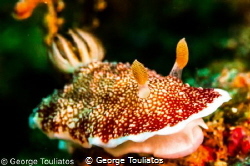 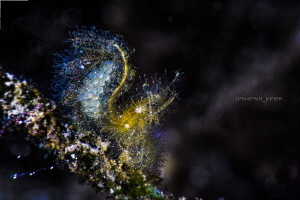 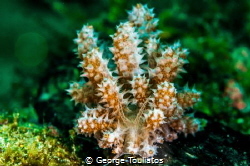 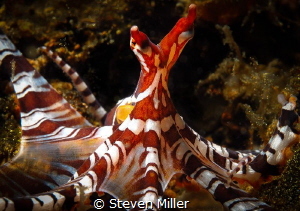 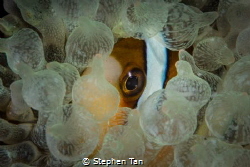 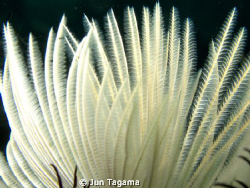 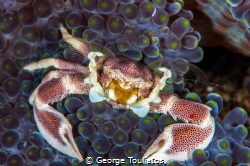 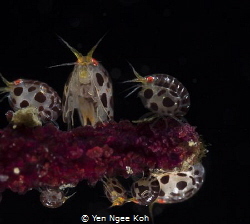 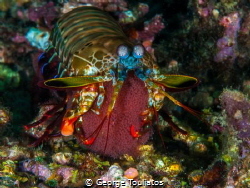 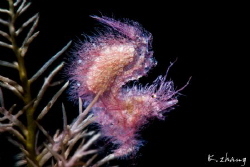 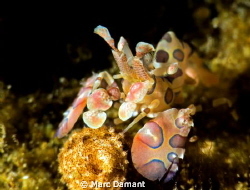 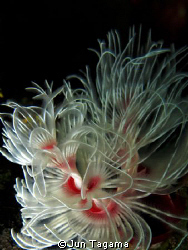 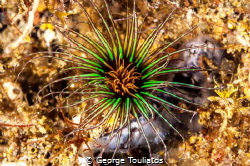 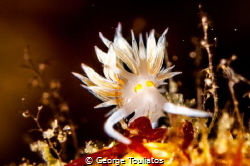 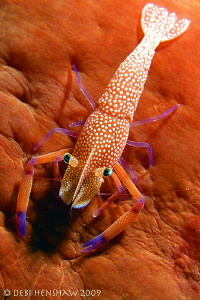 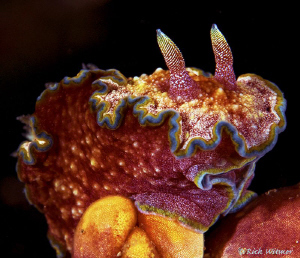 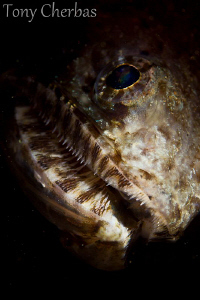 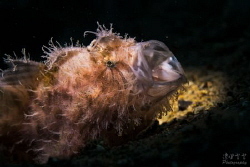 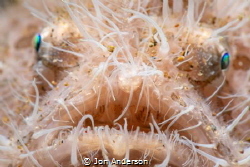 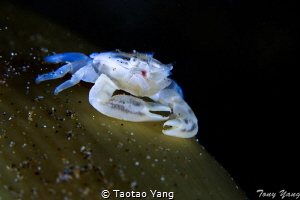 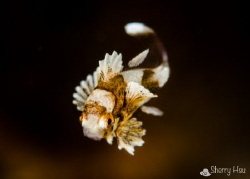 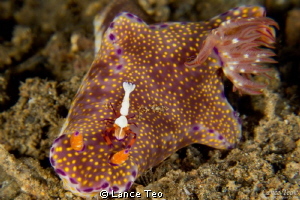 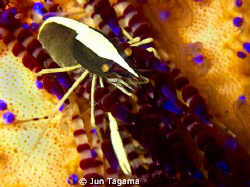 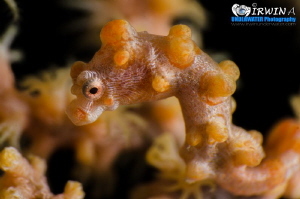 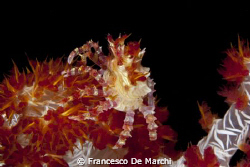 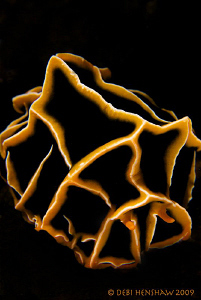 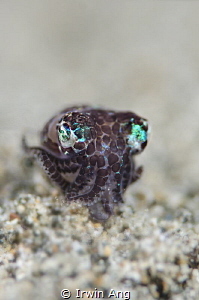 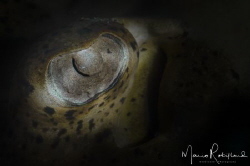 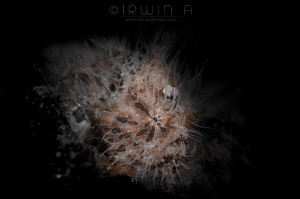 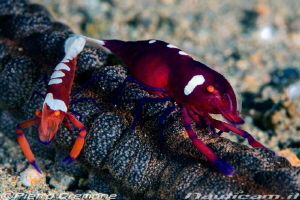 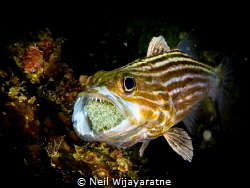 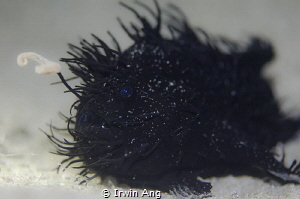 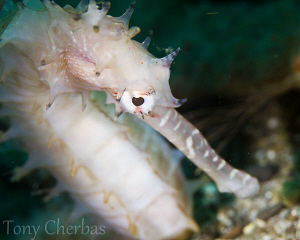 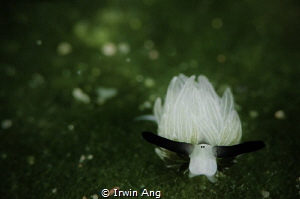 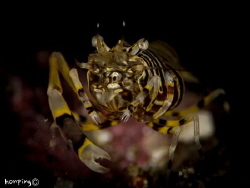 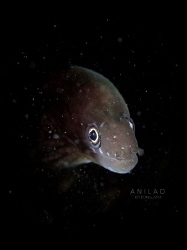 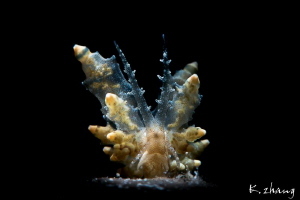 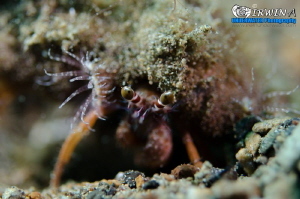 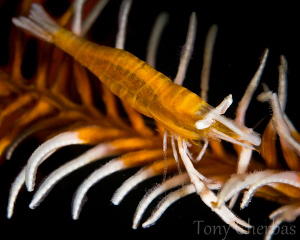 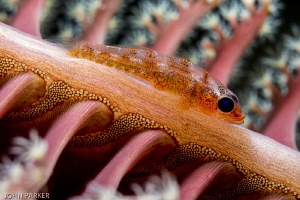 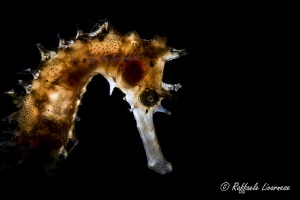 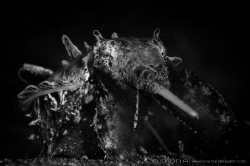 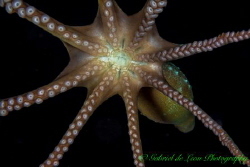 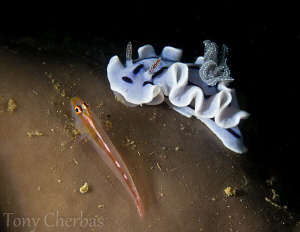 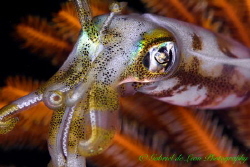 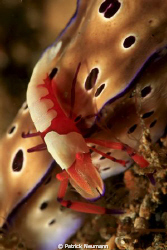 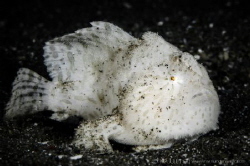 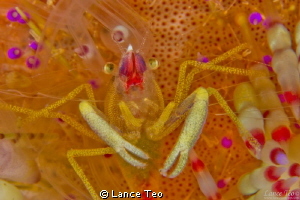 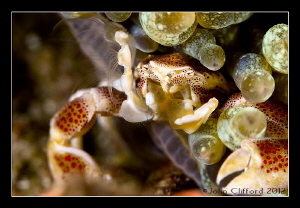 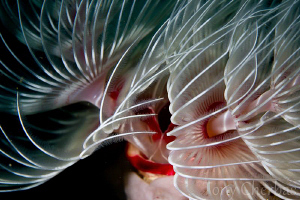 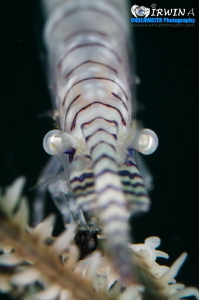 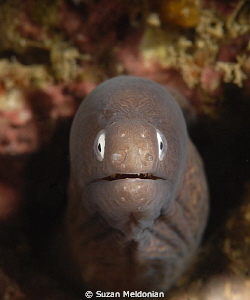 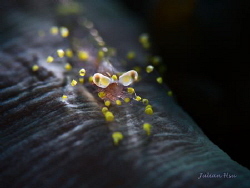 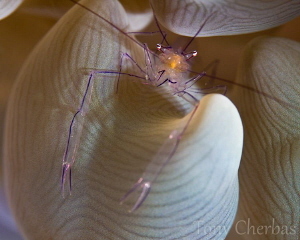 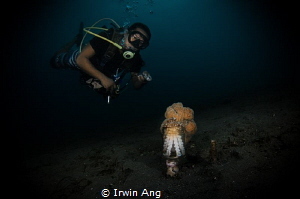 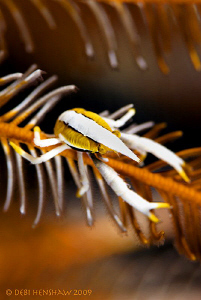 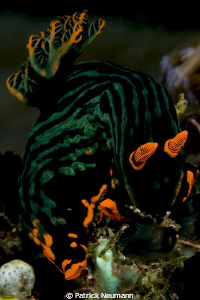 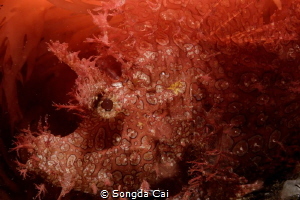 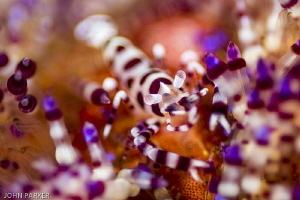 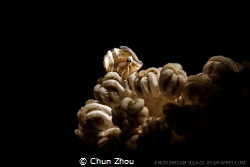 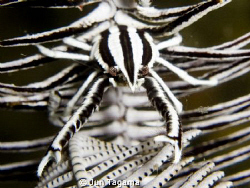 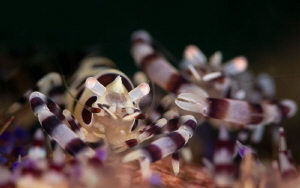 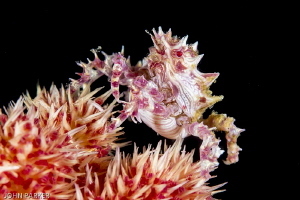 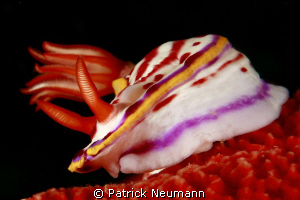 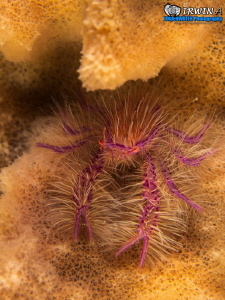 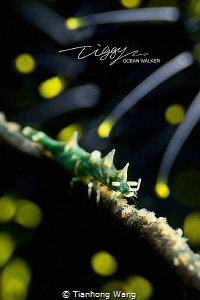 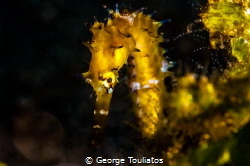 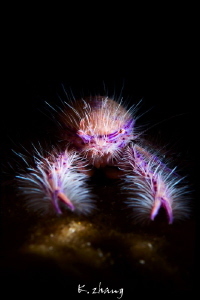 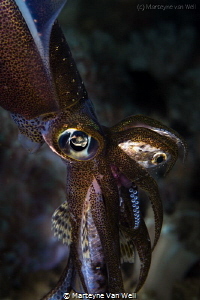 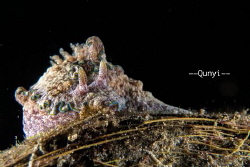 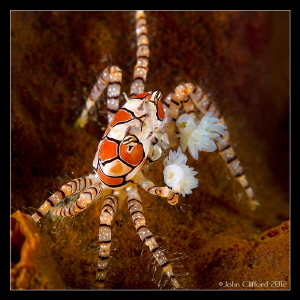 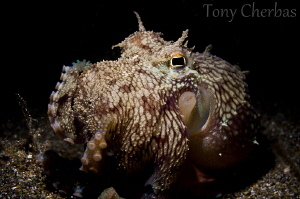 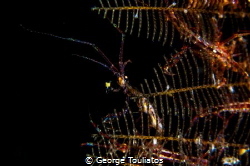 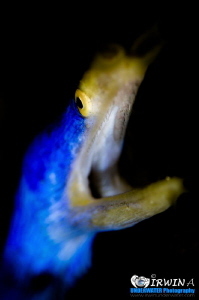 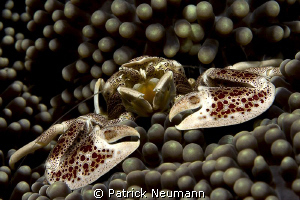 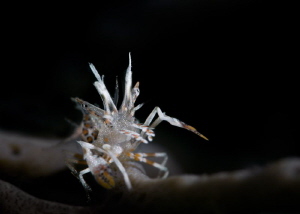 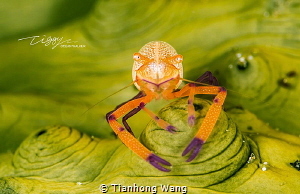 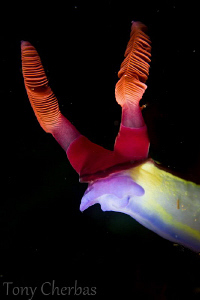 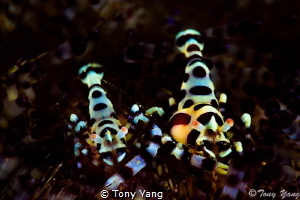 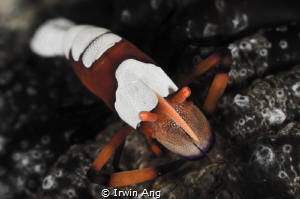 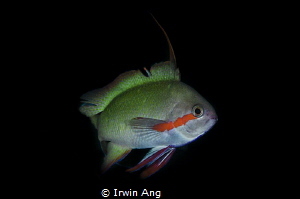 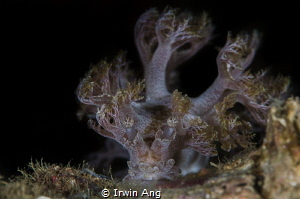 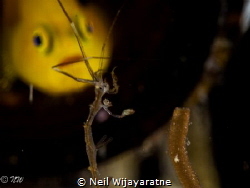 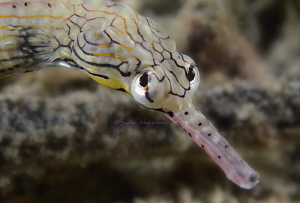 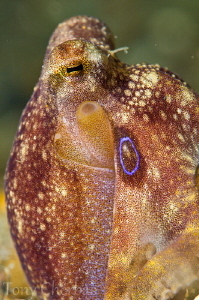 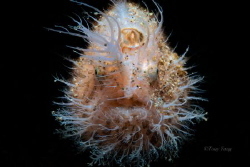 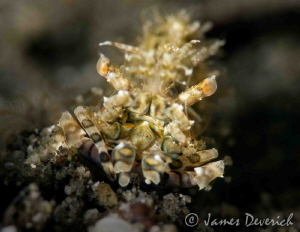 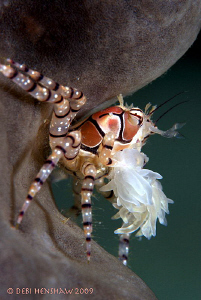 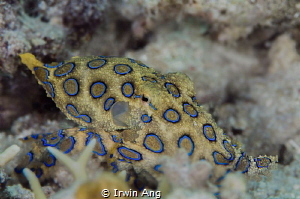 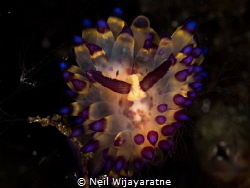 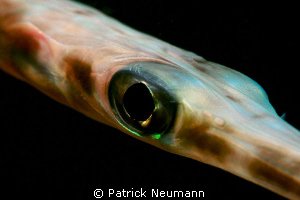 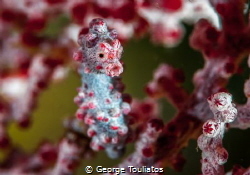 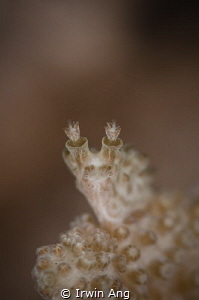 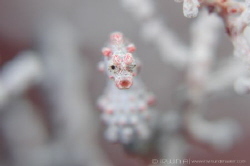 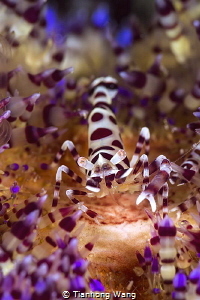 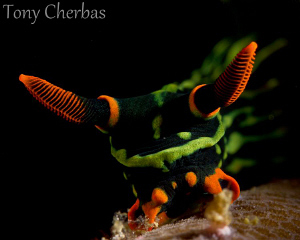 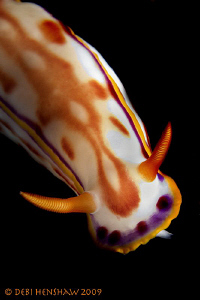 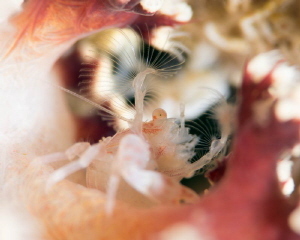 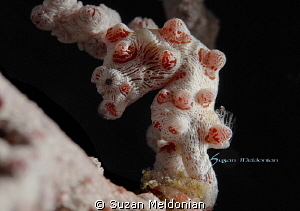 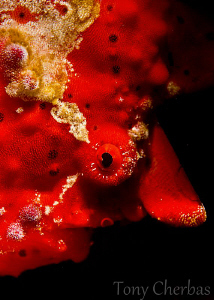 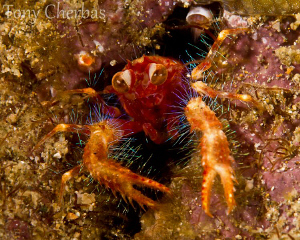 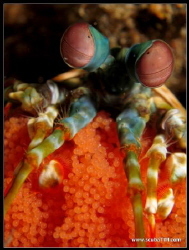 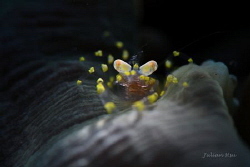 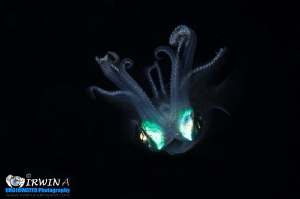 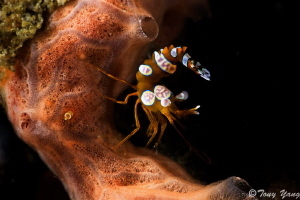 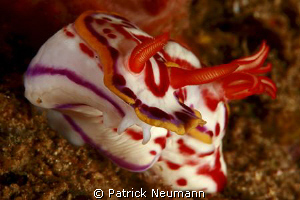 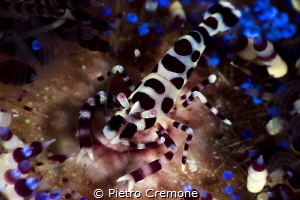 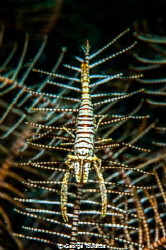 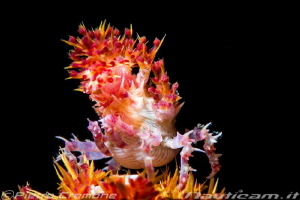 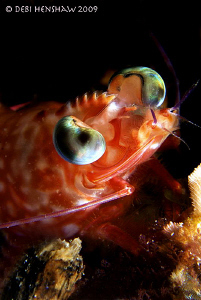 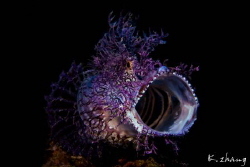 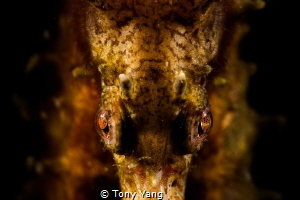 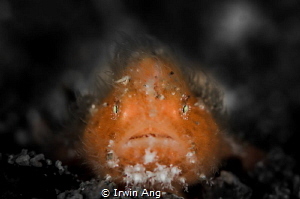 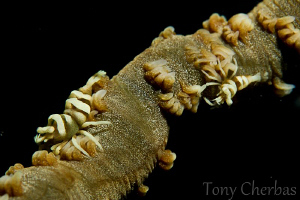 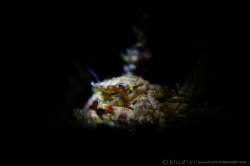 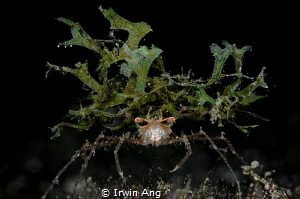 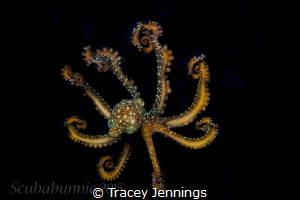 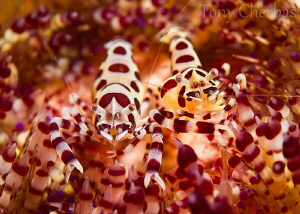 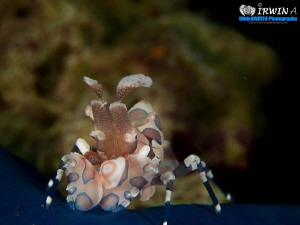 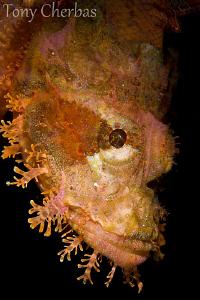 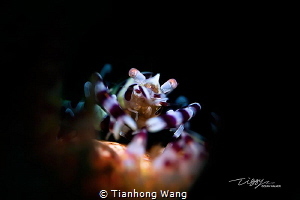 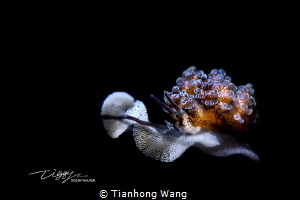 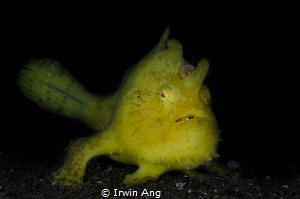 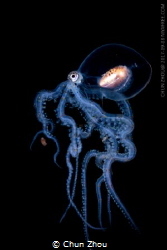 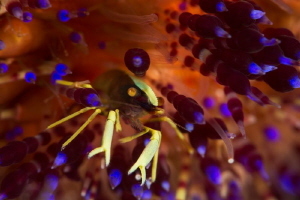 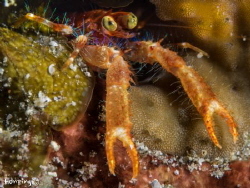 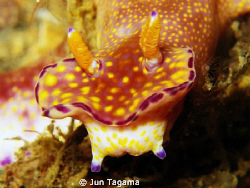 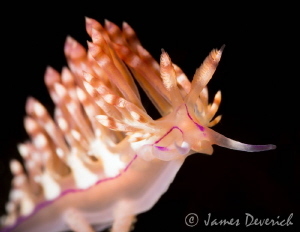 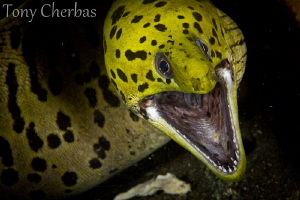 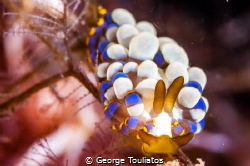 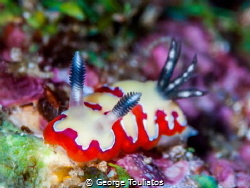 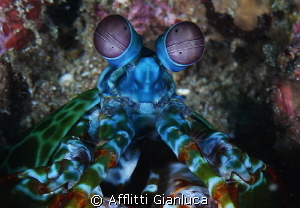 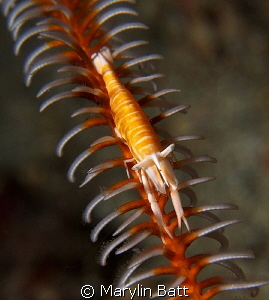 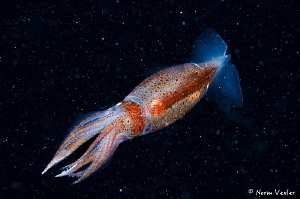 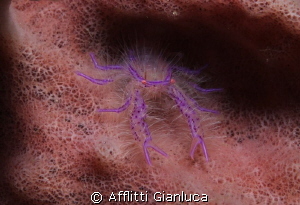 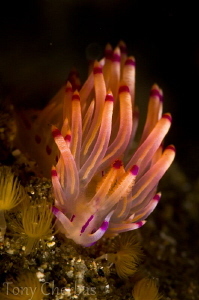 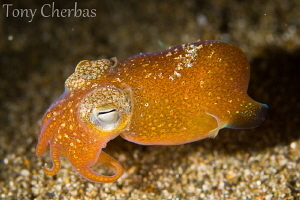 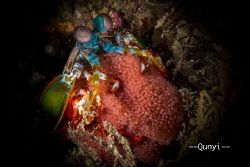 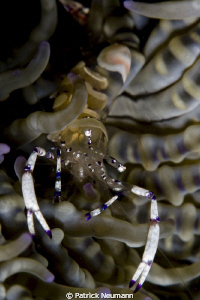 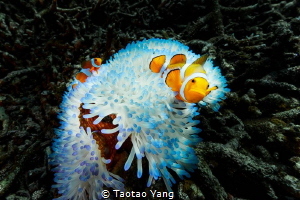 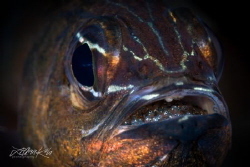 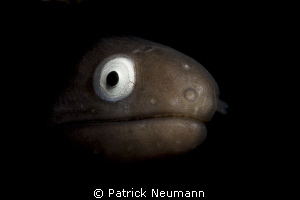 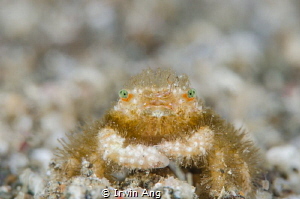 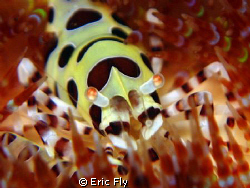 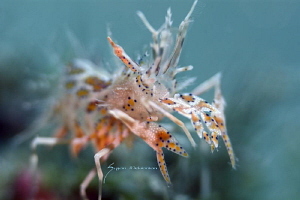 You'll meet so many odd critters at night dives at Anilao, Phillippines. 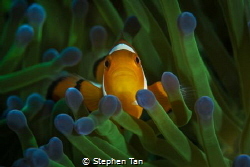 Doesn't he look just like a monk? 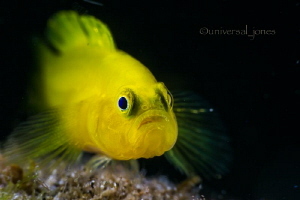 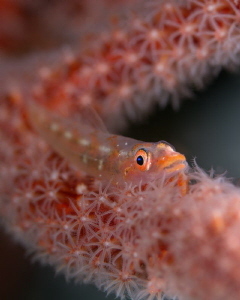 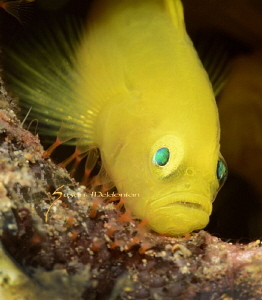 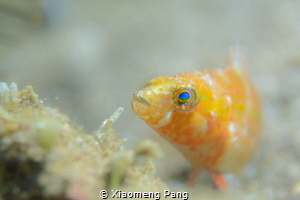 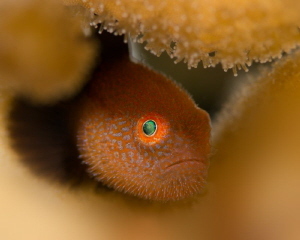 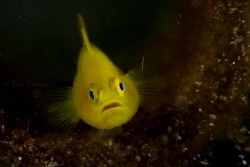 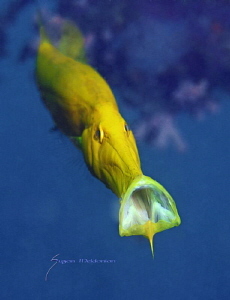 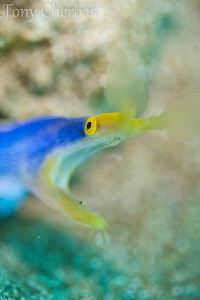 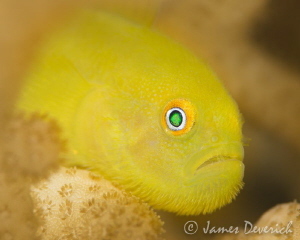 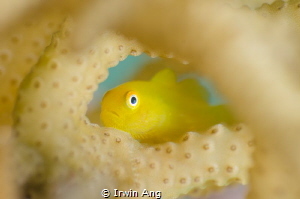 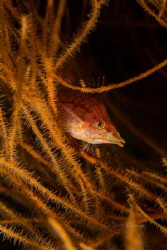 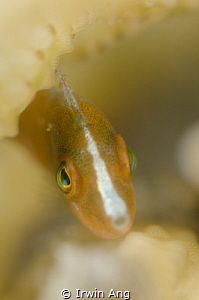 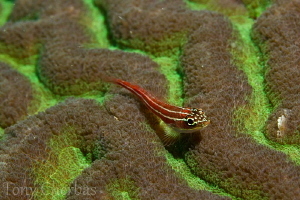 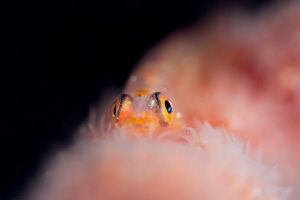 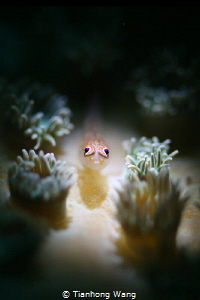 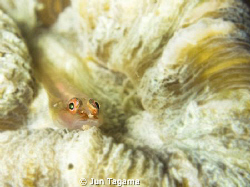 Yellow Coral Goby at Anilao. 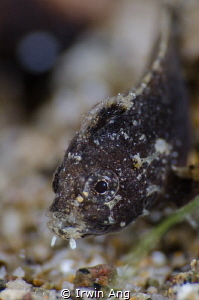 Uncropped pygmy portrait with parasite. 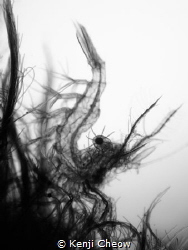 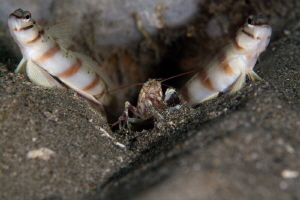 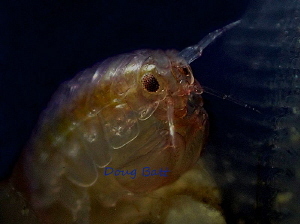 Simplex Shrimp / Looks like dirt till you get up close! 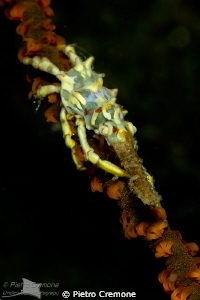 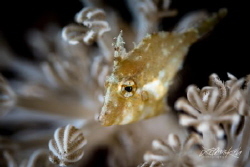 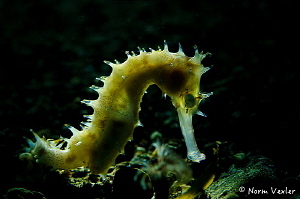 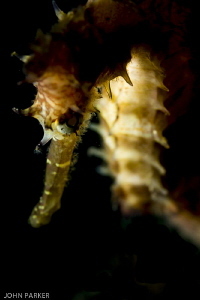 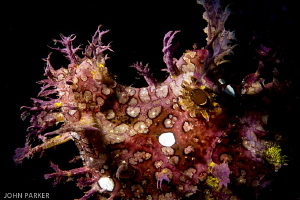 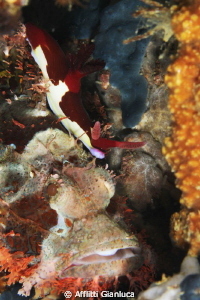 Lembeh Sea Dragon in Anilao. 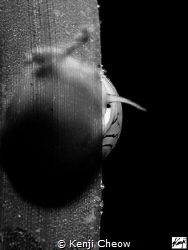 It's slow but constant movement make it a difficult subject, not to mention its diminutive state. 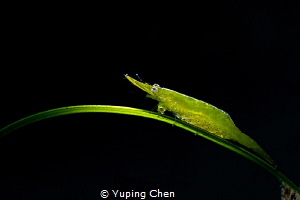 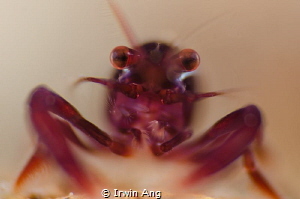 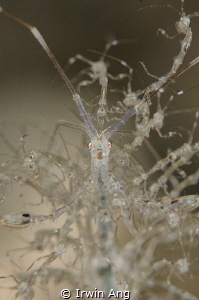 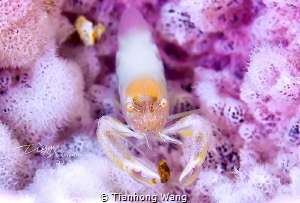 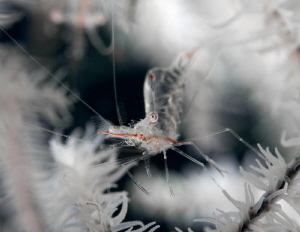 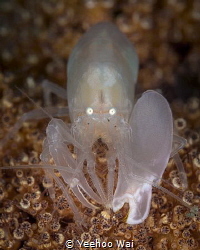 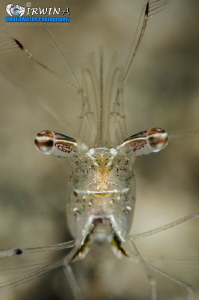 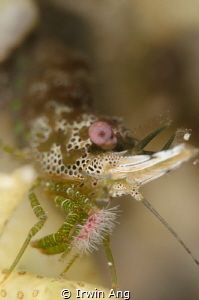 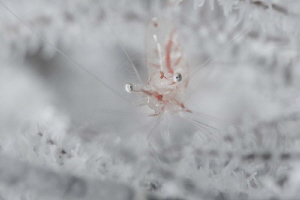 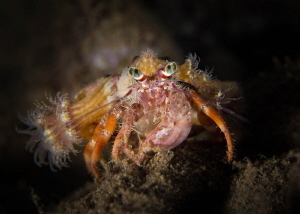 Grinch shrimp - Phychocaris sp. 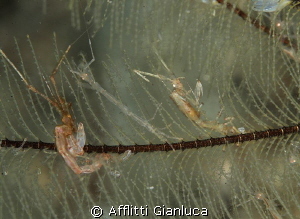 Skeleton shrimp remind me of the Skeksis from the dark crystal. 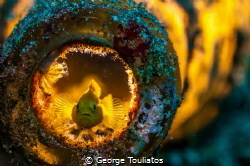 All aglow in a bottle! 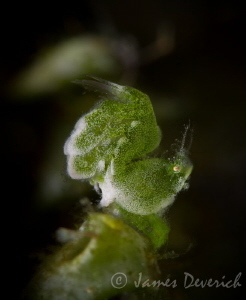 Halimeda Ghostpipe pair, male left female right. 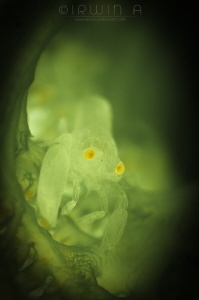 Where lemon cello monkeys dwell. 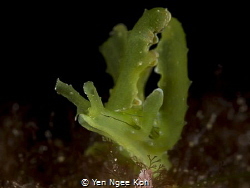 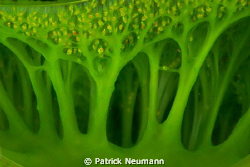 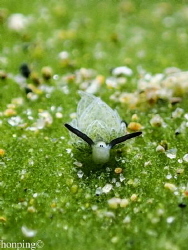 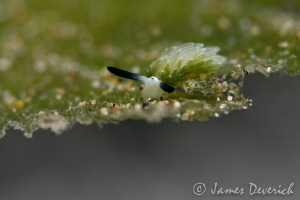 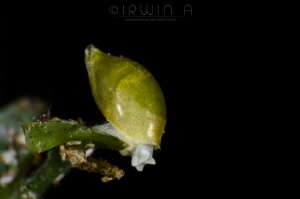 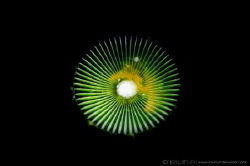 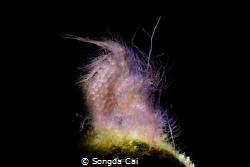 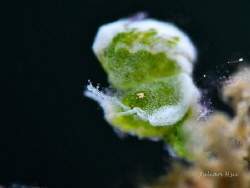 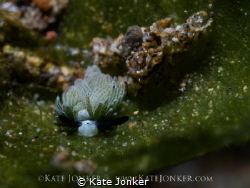 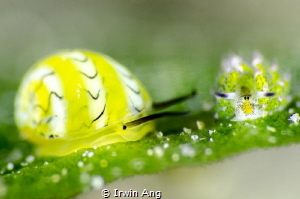 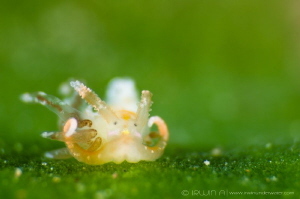 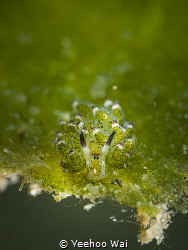 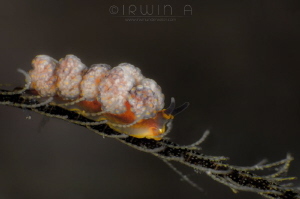 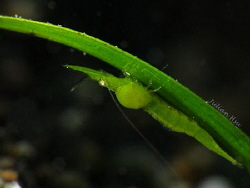 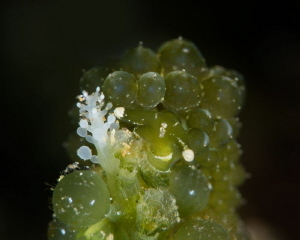 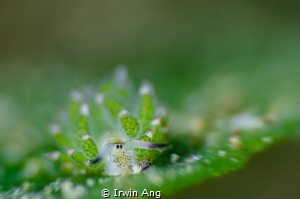 Costasiella usagi, I called it "Sheep-nudi", size about 2-3mm found at a green leaf. 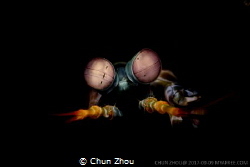 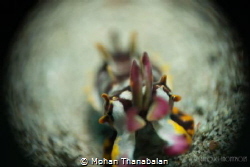 Captured with Olympus TG3 with torch light. 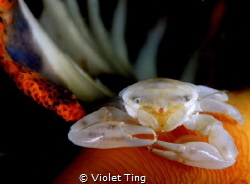 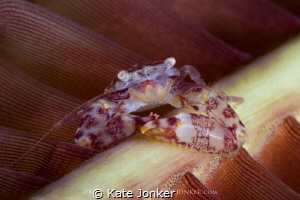 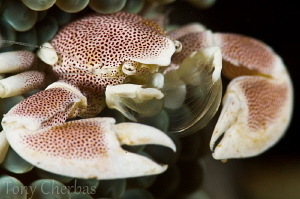 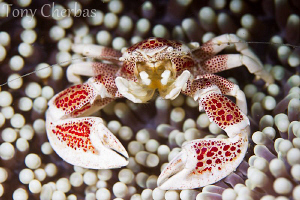 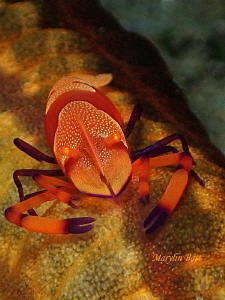 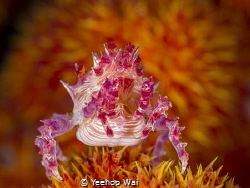 A Candy Crab (Hoplophrys oatesii) posing in front of some "fireworks". 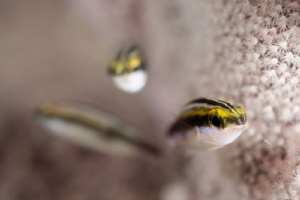 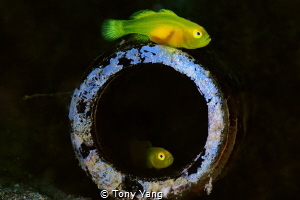 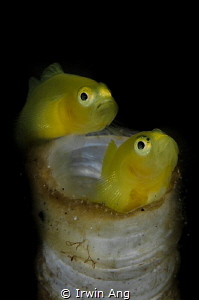 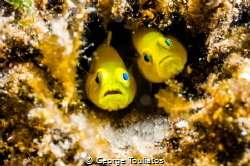 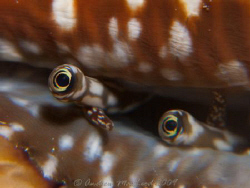 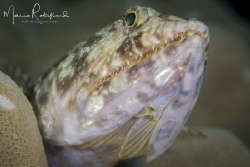 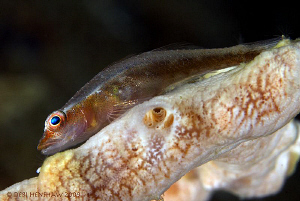 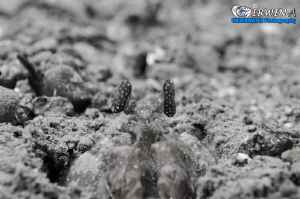 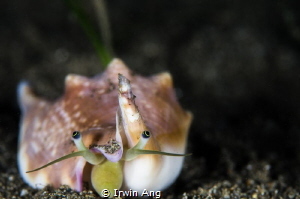 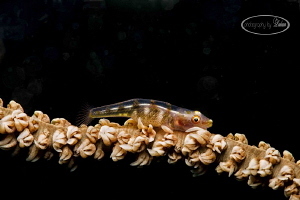 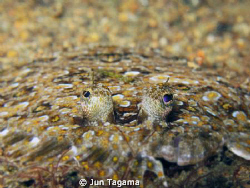 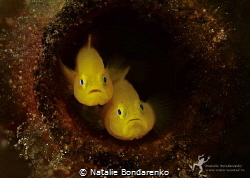 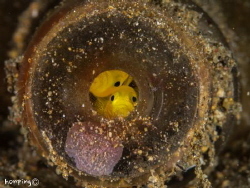 "This exit is too small for us" Spotted a pair goby hidden inside a bottle. 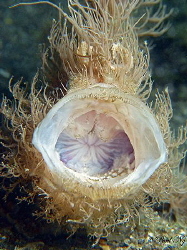 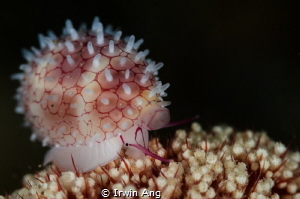 Diminovula culmen, rigged egg cowrie. 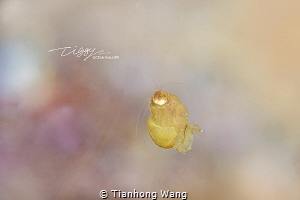 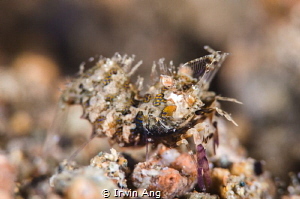 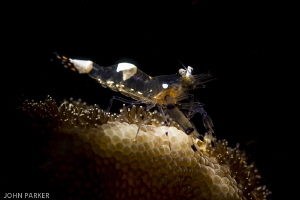 Bumble Bee Shrimp (Gnathophyllum americanum) size about 4mm. 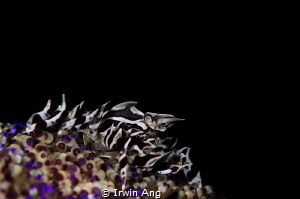 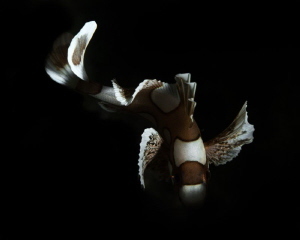 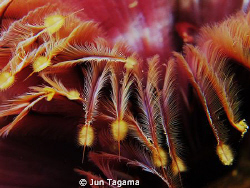 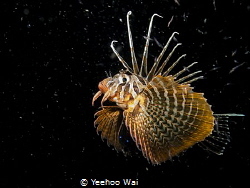 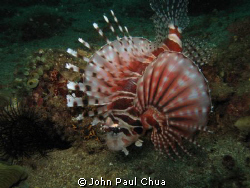 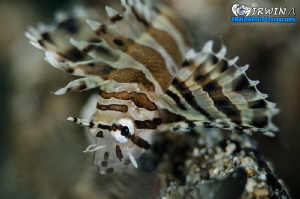 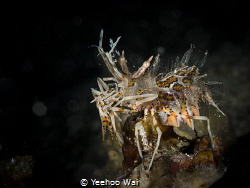 A hunting lionfish (Pterois volitans), captured during a night dive at Anilao, Philippines. 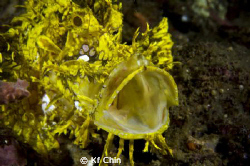 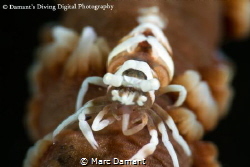 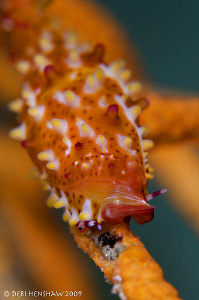 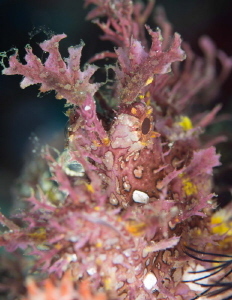 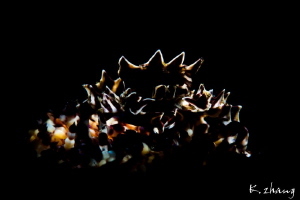 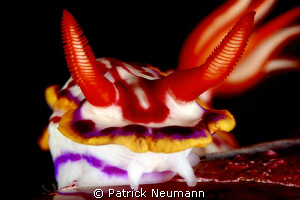 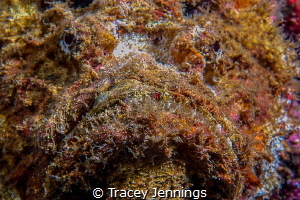 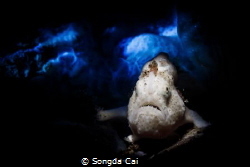 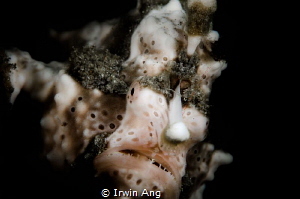 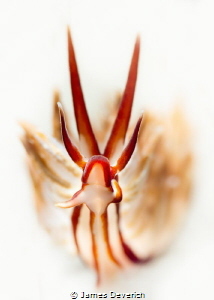 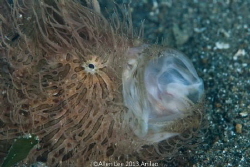 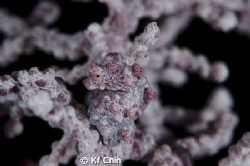 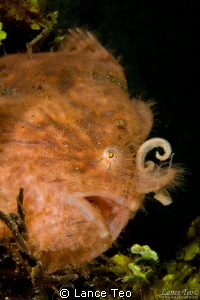 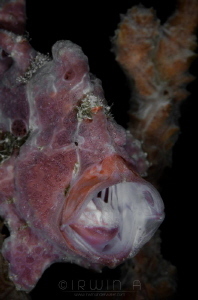 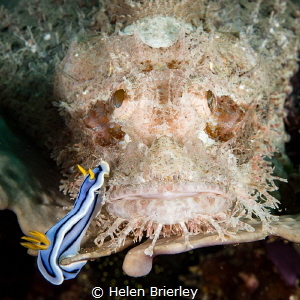 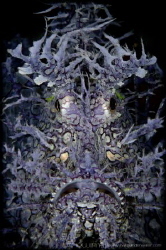 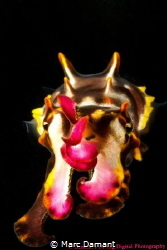 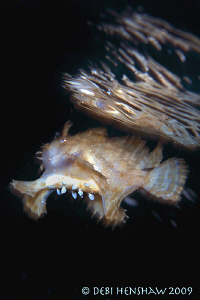 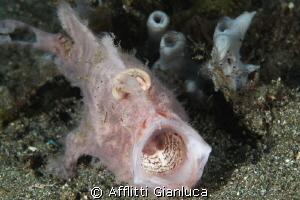 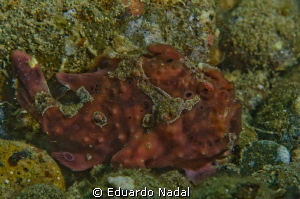 One of a series of 17 images shot as the nudibranch casually navigated the face of the scorpion fish. 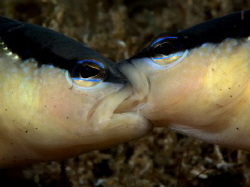 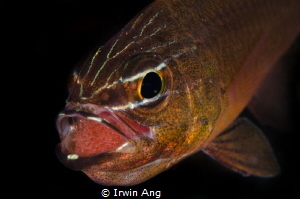 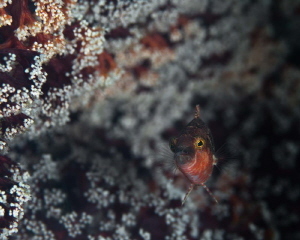 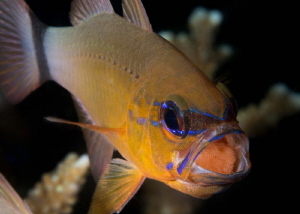 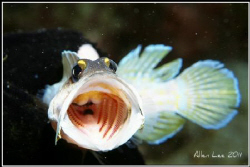 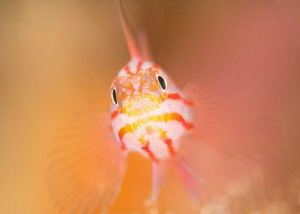 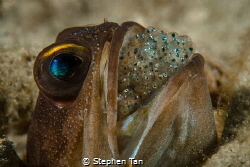 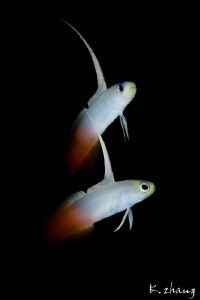 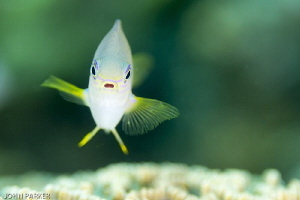 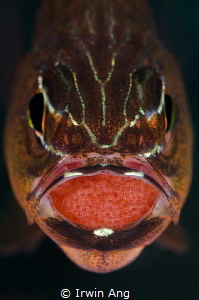 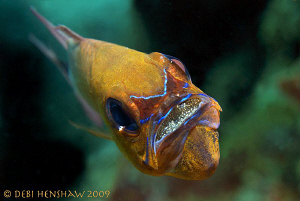 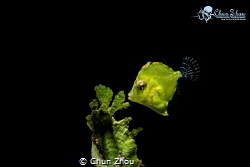 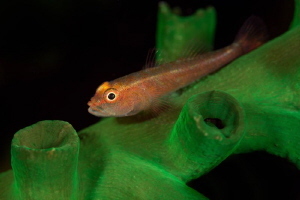 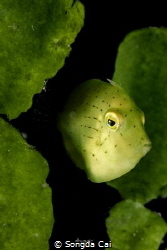 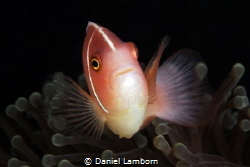 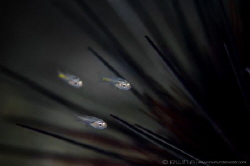 Cardinal fish are believed to eat around 30% of their own eggs. 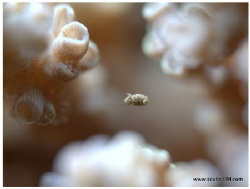 Size matters / Idomysis in three colours. 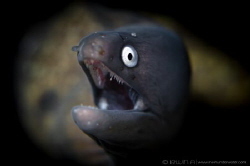 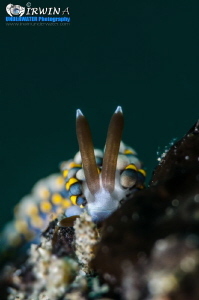 Terror of the deep, the fearsome, the ferocious....... 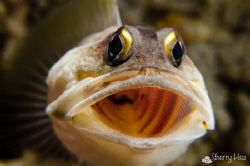 GOBI!!!!!! 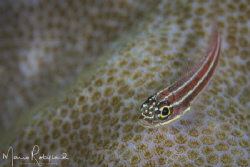 Black Stripe dottyback (Pseudochromis perspicillatus) taken in Anilao. 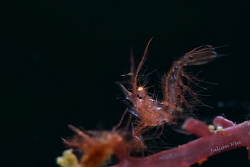 it seems likely two males in a territorial dispute. 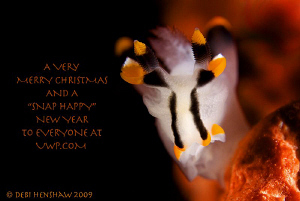 Merry XMAS! 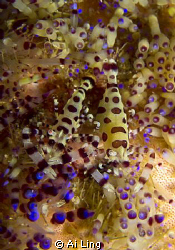 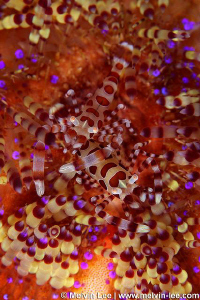 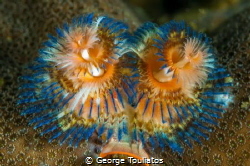 Christmas tree worms at Anilao. 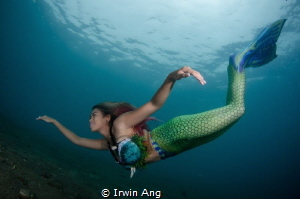 All the worlds a stage..
B E A U T Y Mermaid (Odessa Bugarin) Anilao, Philippines. 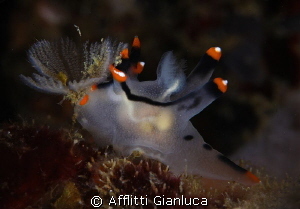 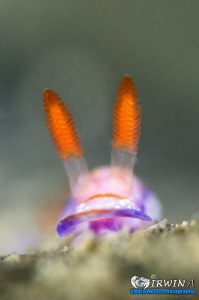 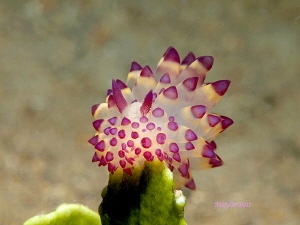 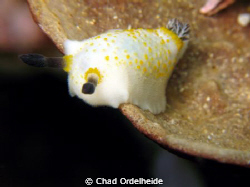 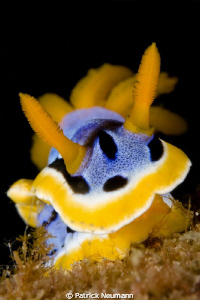 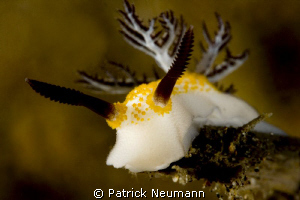 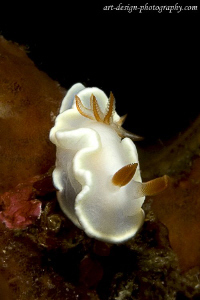 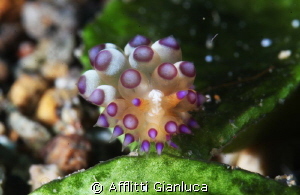 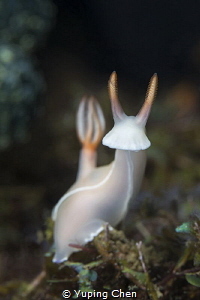 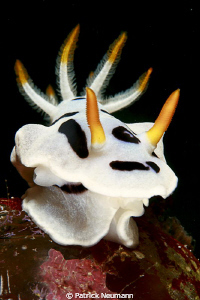 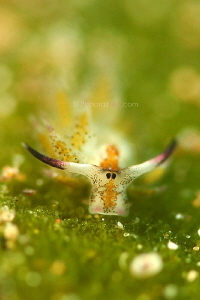 The Easter Bunnie nudi Cadlinelia ornatissima. 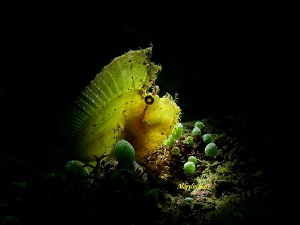 NIGHT SHOW The yellow defocus of the background look like the fireworks . 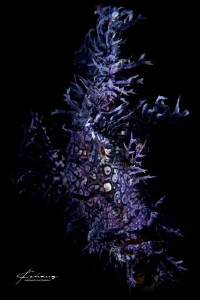 MY BLACK DRESS I tried various different light method, also try in its behind different positions with torch fill light, let its tentacles looks more transparent. 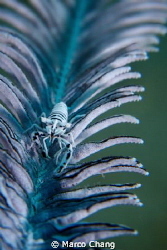 NEW SCARF they're impossible for the human eye to see. 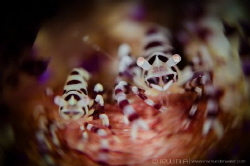 it's really hard in focus. 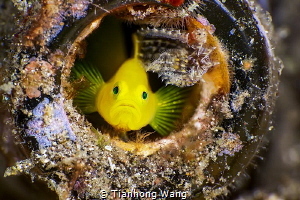 MY UNTIDY HOME by the expression on its face , it seemed to be displeased maybe the "home"too dirty.. 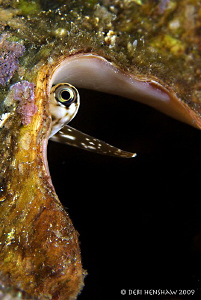 HIDING it is a master of disguise. 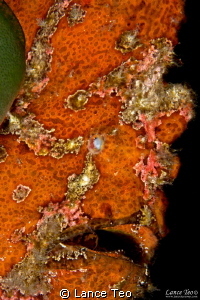 Urocaridella sp 2. 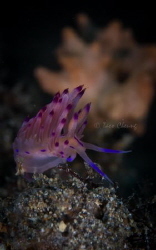 Wonderful find in a tiny crack on Kirby wall, Anilao. 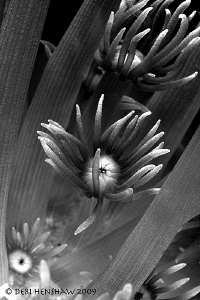 Shooting B&W super macro is not often done and I love doing it. 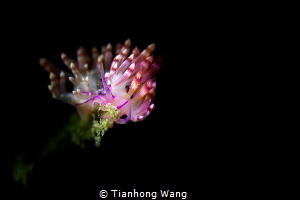 Finding the right subject on the right environment and shooting it was my only task. 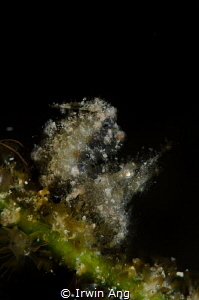 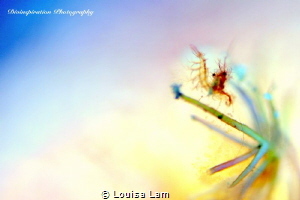 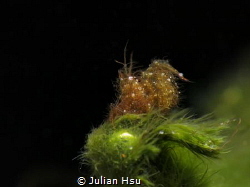 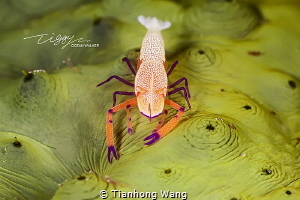 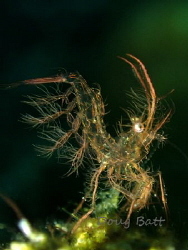 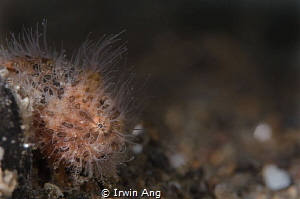 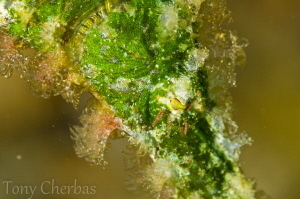 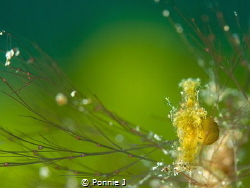 When I saw this hairy shrimp on the algae, I knew it was my opportunity. 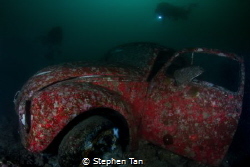 Volkswagen Beetle attracts more attention underwater than it did topside. 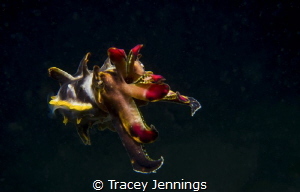 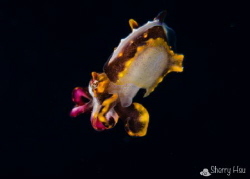 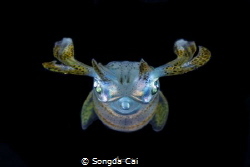 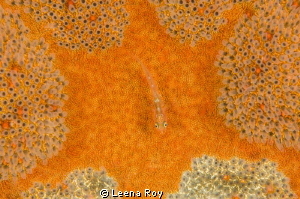 A tiny Flamboyant Cuttlefish floating to me on a dusk dive! 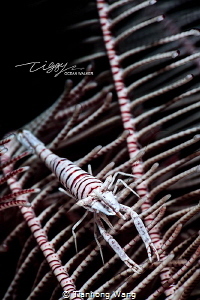 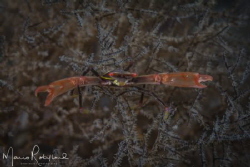 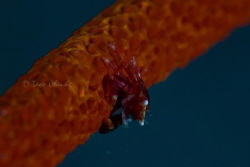 A Whip Coral shrimp shot with a 100mm macro and a plus 5 diopter. 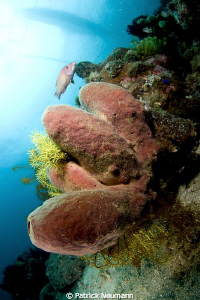 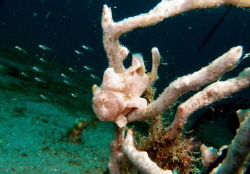 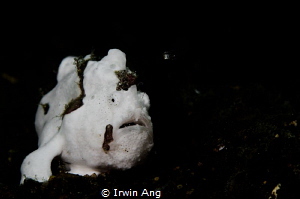 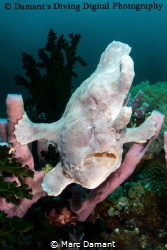 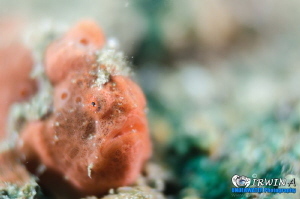 "Downward frog" A play on the downward dog pose in yoga this Giant Frogfish was perfectly balanced on a cluster of tube sponges waiting for a meal to swim by! 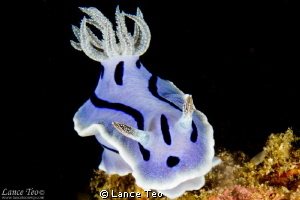 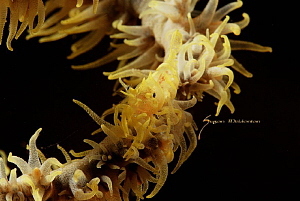 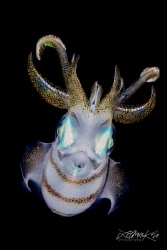 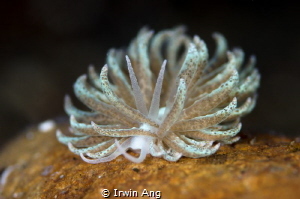 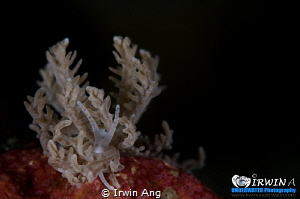 A L I E N Nudibranch (Phyllodesmium pinnatum) Anilao, Philippines. 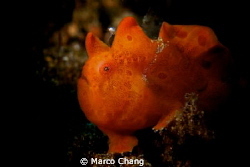 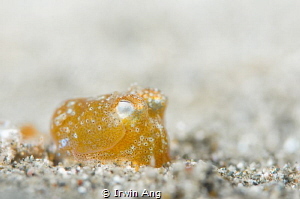 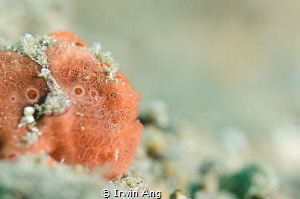 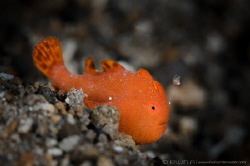 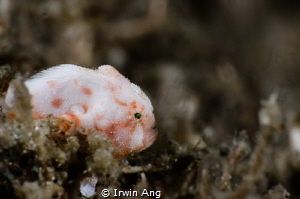 B A B Y - O R A N G E Juvenile frogfish (Antennarius) Anilao, Philippines. 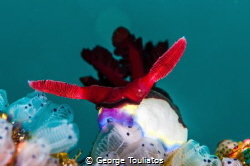 S H A L L O W Dusky-tailed Cardinal (Archamia macroptera) Anilao, Philippines. 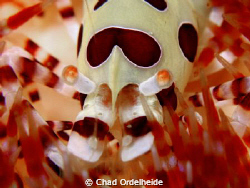 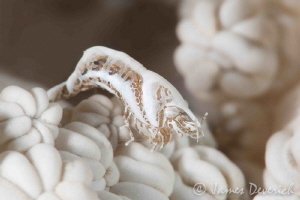 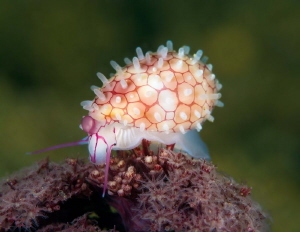 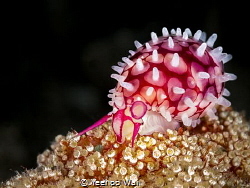 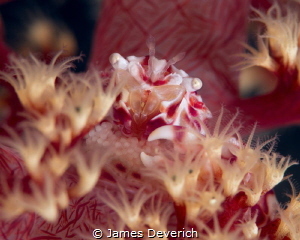 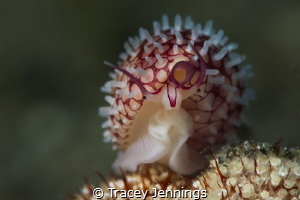 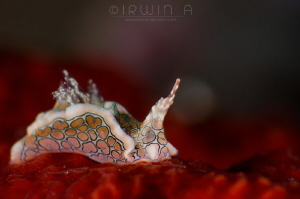 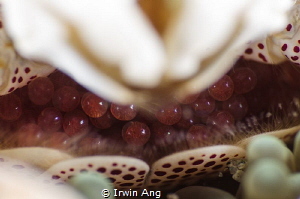 H A I R Y - C O W R I E Cowrie (ID pls) Anilao, Philippines. 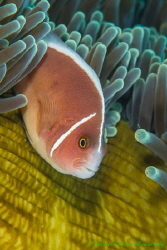 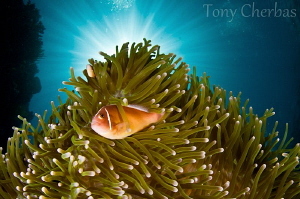 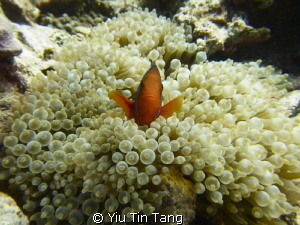 Tomato Anemonefish - as close as I could get without upsetting her. 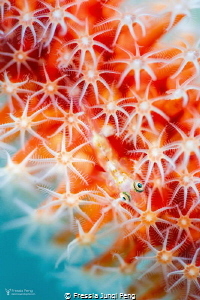 A N I L A O Sombero Island Anilao, Philippines. 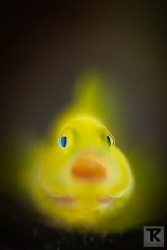 Casper the ghost! 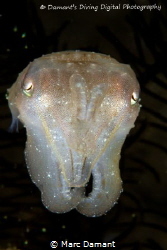 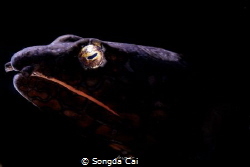 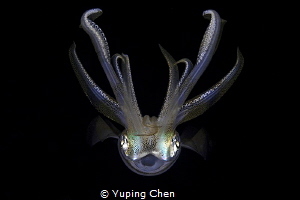 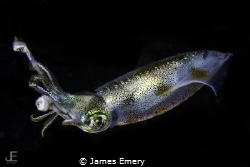 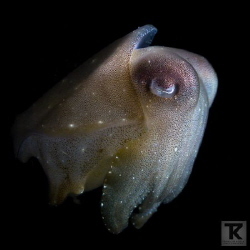 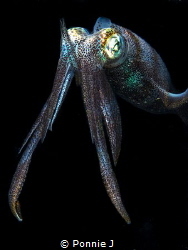 A cuttlefish in the dark! 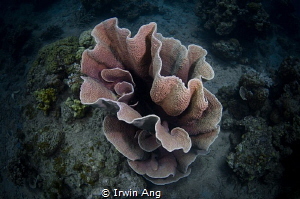 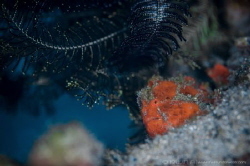 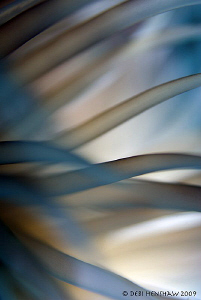 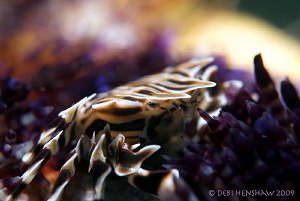 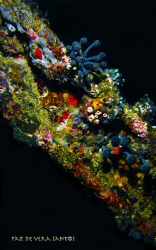 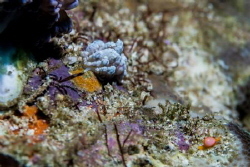 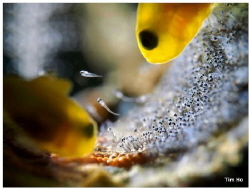 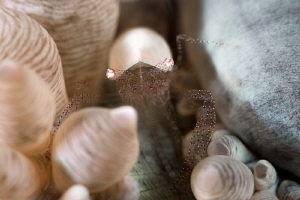 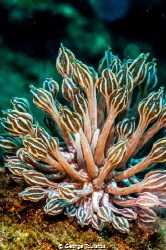 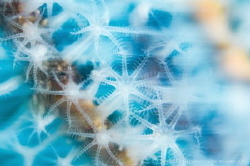 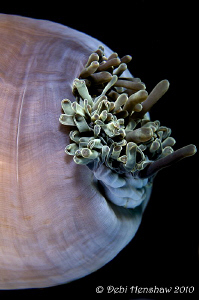 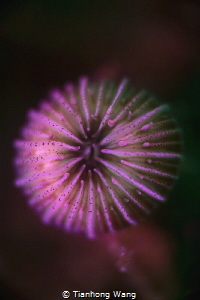 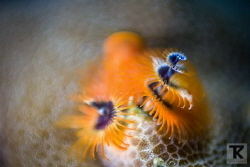 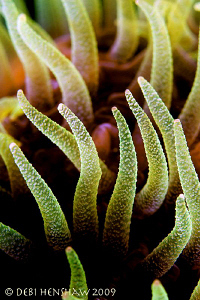 A slow shutter speed and some artitic blur on this feeding coral. 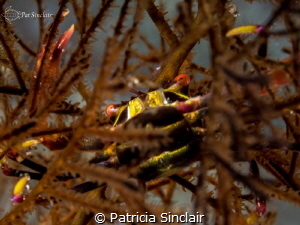 "Embedded" This crab moved into the gorgonian to avoid being photographed, so I moved under it and quite like the result. 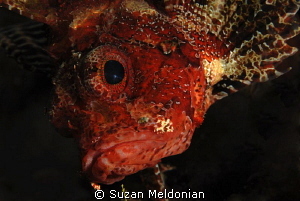 Weedy Scorpionfish (Rhinopias frondosa) Anilao, Philippines. 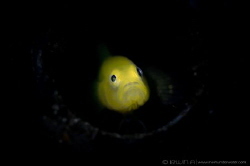 He was so exited of seen me! 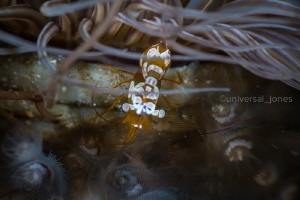 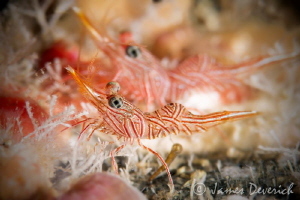 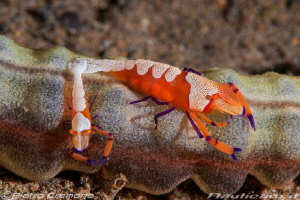 C O U P L E The Coleman Shrimp (Periclimenes colemani) Anilao, Philippines. 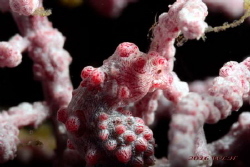 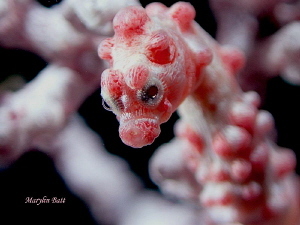 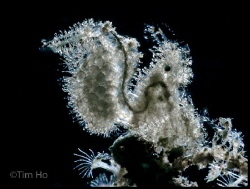 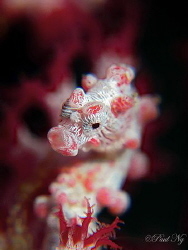 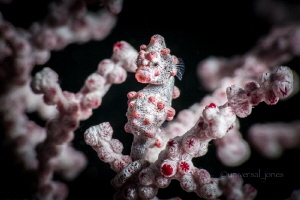 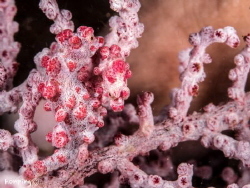 S H A L L O W Pygmy seahorse (Hippocampus bargibanti) Anilao, Philippines. 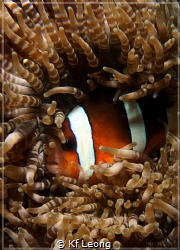 My home! 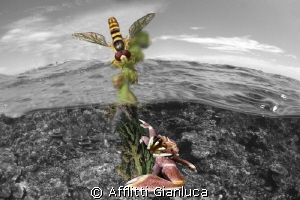 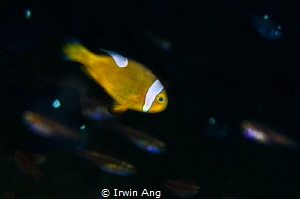 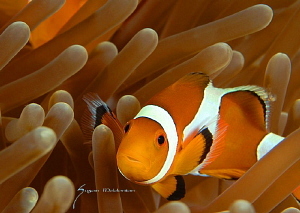 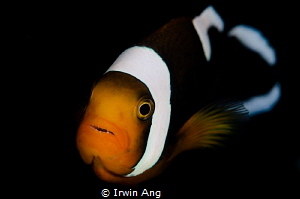 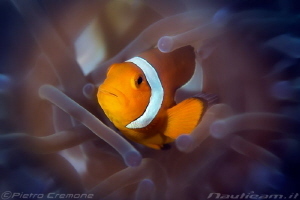 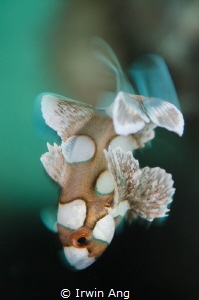 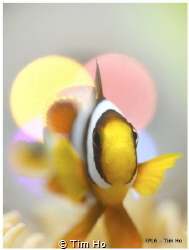 Clownfish in its natural habitat. 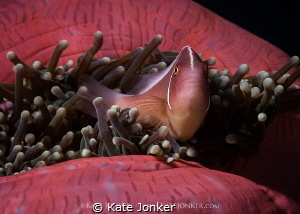 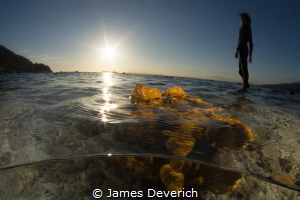 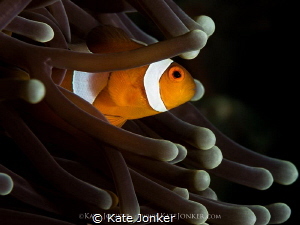 Home is where the heart is Skunk anemone fish closely guards his home at dusk. 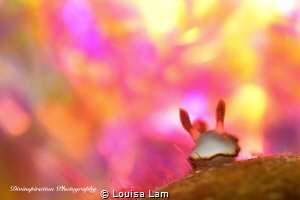 S E A - B U G Ladybug Anilao, Philippines. 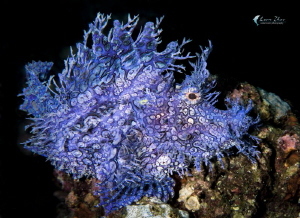 P U R P L E Purple Rhinopias (Rhinopias frondosa) Anilao, Philippines. 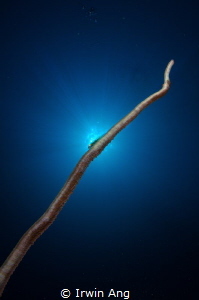 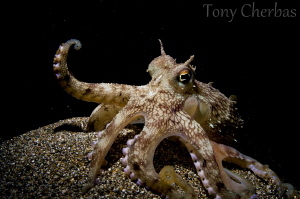 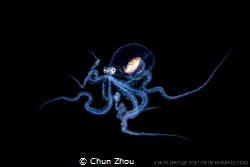 I am a real octopus(Macrotritopus) than a Alien. 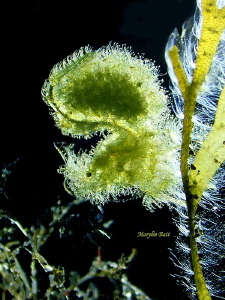 Algae Shrimp with back and side lighting. 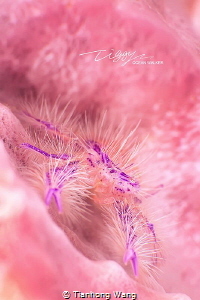 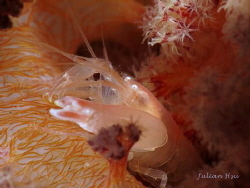 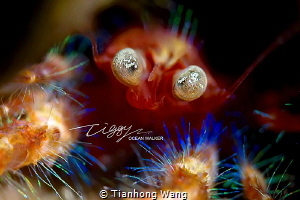 B I G - P A R A S I T E Hairy Shrimp (Phycocaris simulans) Anilao, Philippines. 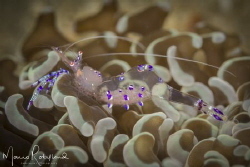 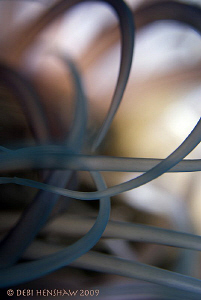 B L U R R Y Polyp Anilao, Philippines. 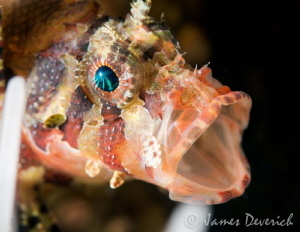 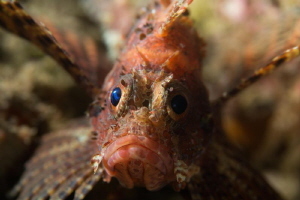 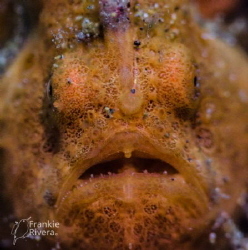 Paddle-flap Scorpionfish/Anilao, ,Philippines/Canon 5D MarkIV, 100mm macro Lens. 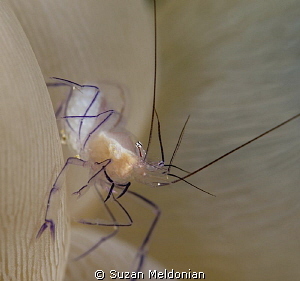 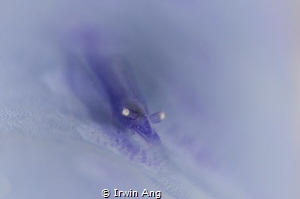 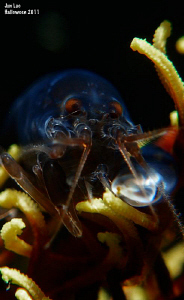 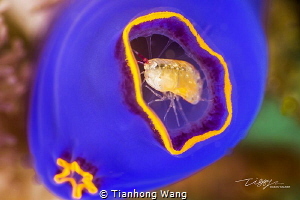 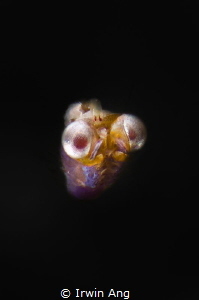 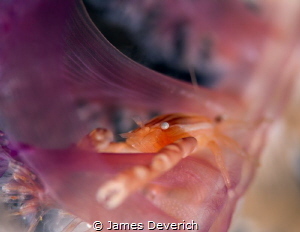 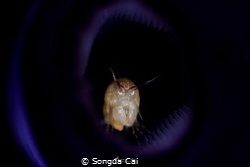 Tiny Amphipod inside a Blue Tunicate. 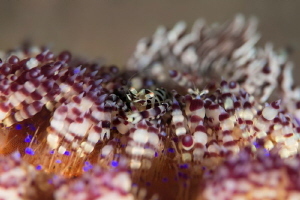 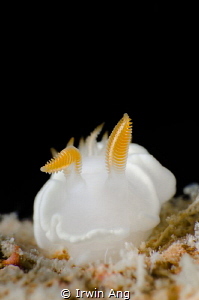 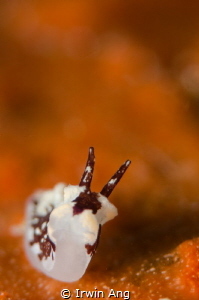 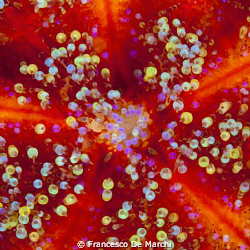 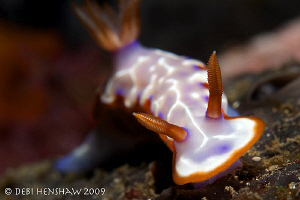 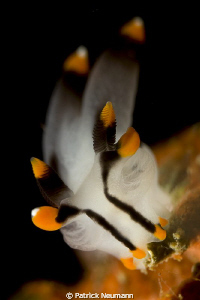 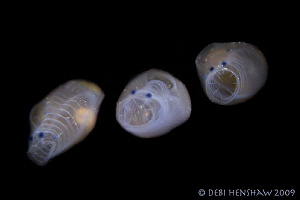 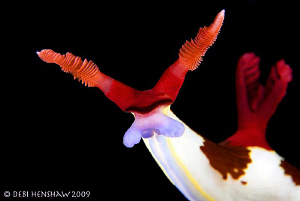 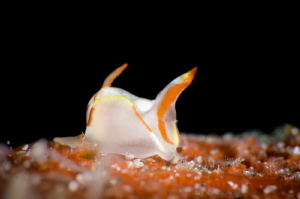 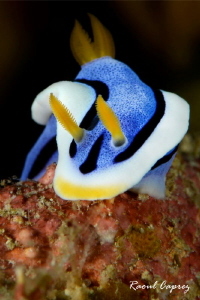 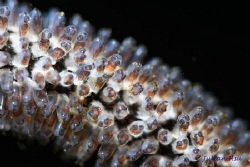 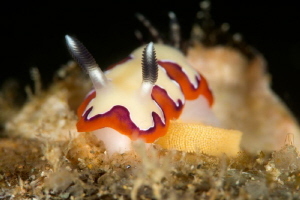 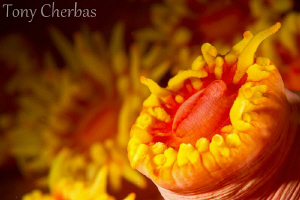 Eubranchus sp.Anilao, Philippines. 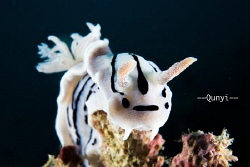 Trying for creative, but not photoshopped. 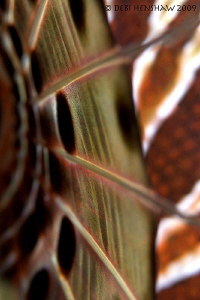 Mylar paper taped to a slate with a separate torch reflecting the colors. 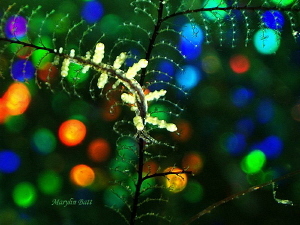 Trying for a Christmas theme. 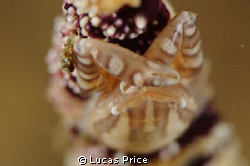 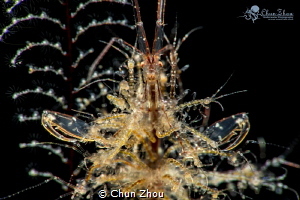 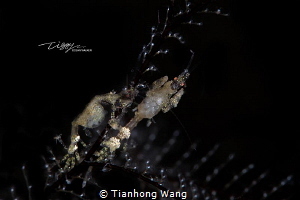 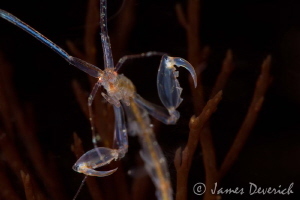 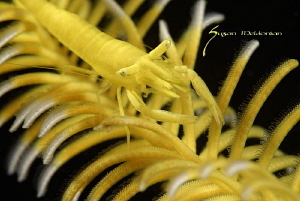 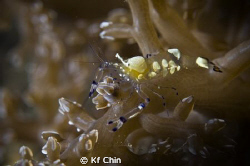 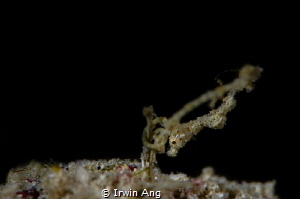 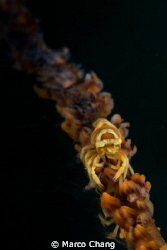 Golden Hydroid Shrimp - taken with the Old 60mm macro lens - no diopter used. 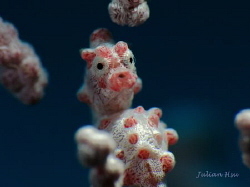 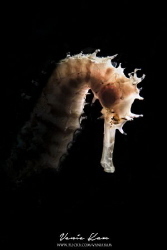 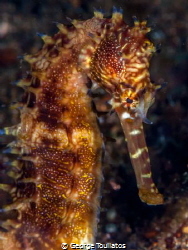 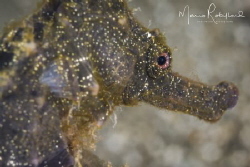 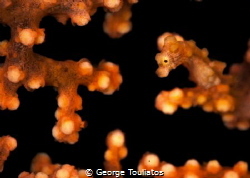 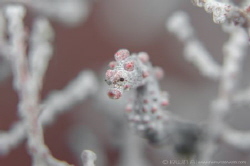 Bargibanti Sea horse close up. 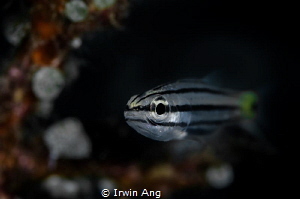 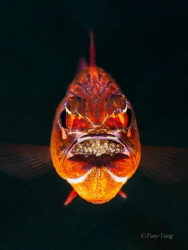 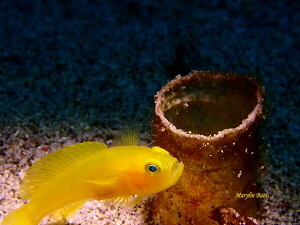 This cardinal fish was found in a bottle at the sandy bottom, hiding away from the ripping current outside. 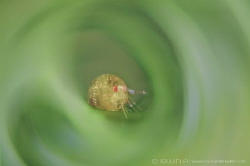 It paced back and forth looking at bit wary of me peering into its hiding place. 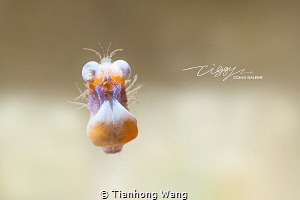 If you look closely, you will find small bugs in its mouth. 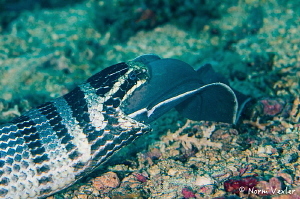 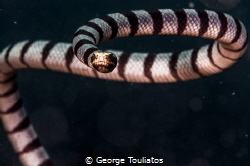 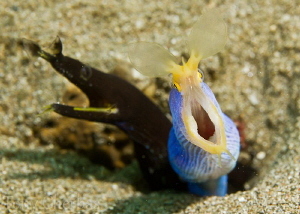 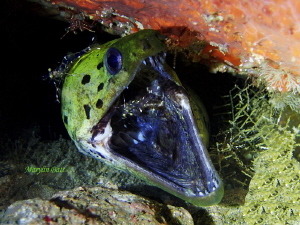 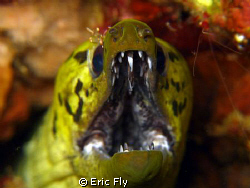 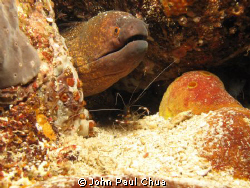 A Banded Sea Snake eating a Moray Eel! 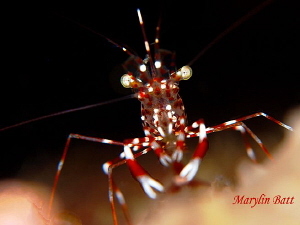 Photographed in Anilao, Philippines. 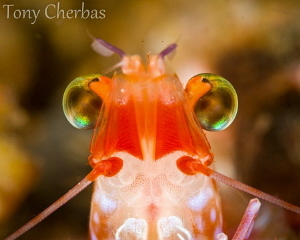 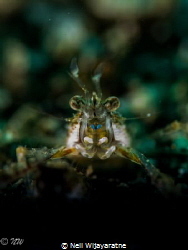 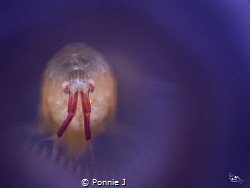 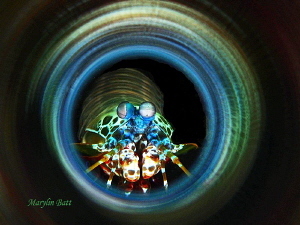 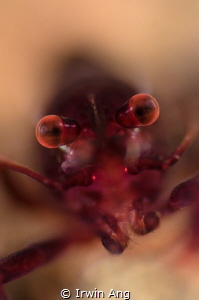 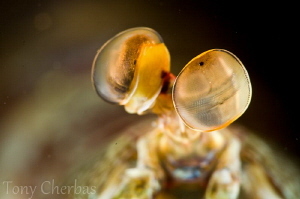 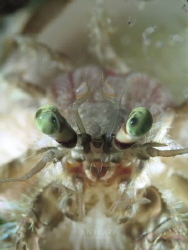 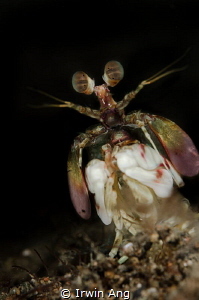 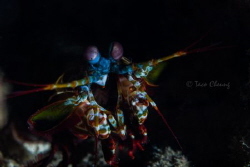 Tiger shrimp: I'm watching you!! 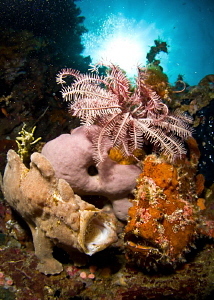 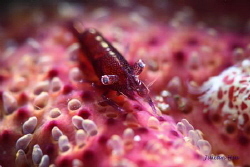 Ctenophere photographed on a Blackwater dive in Anilao. 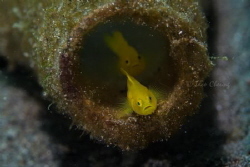 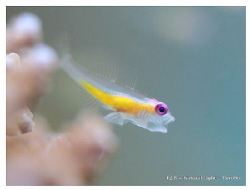 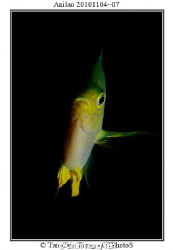 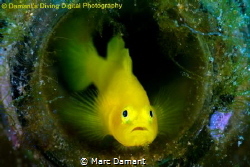 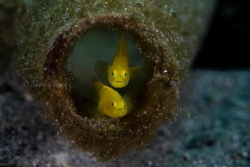 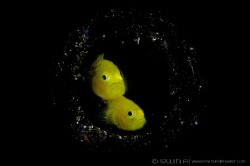 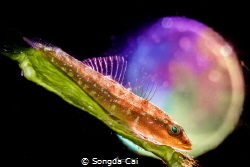 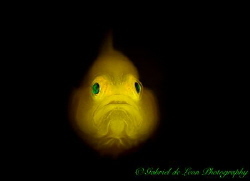 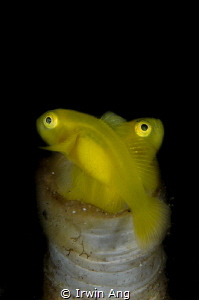 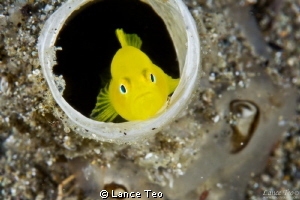 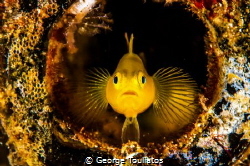 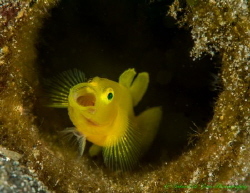 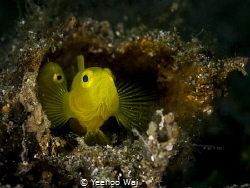 Yellow Goby in a bottle. 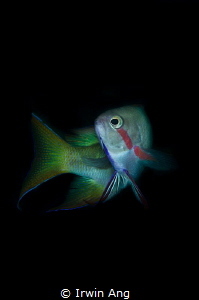 I always liked the concept of baclighting and its effect on a subject. 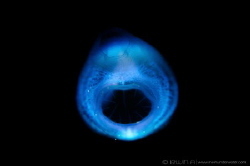 i do like the detail on the fins and the "lantern" look of the bottle. 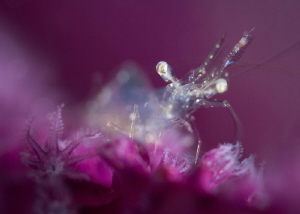 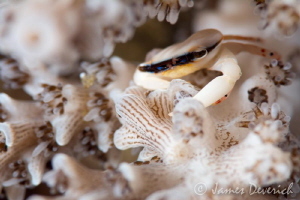 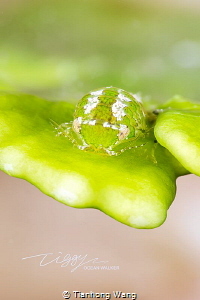 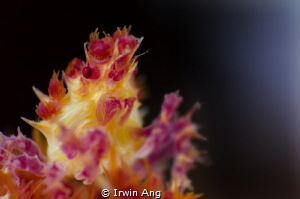 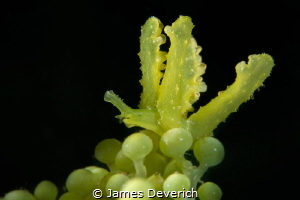 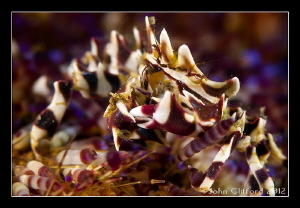 Taken at Anilao, the heaven for macrography photographers! 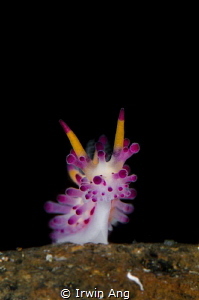 A tiny and very fast nudie!!! 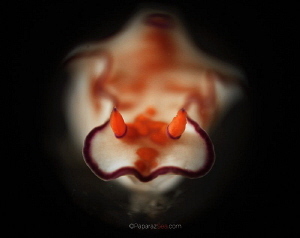 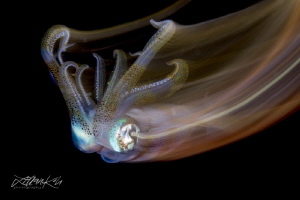 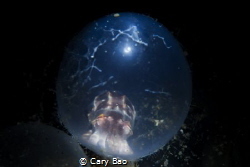 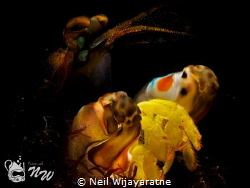 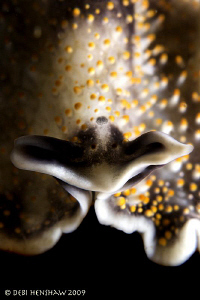 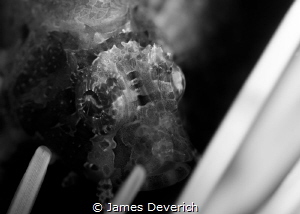 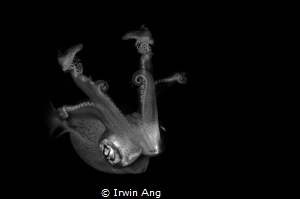 Larval blanket octopus shot at 7m depth, bonfire diving in Anilao, Philippines. 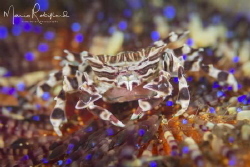 Used Olympus EM-5 Mark II with M. Zuiko 60mm macro lens in Nauticam housing, Inon Z330 strobes, Scubalamp RD95 and RD90. 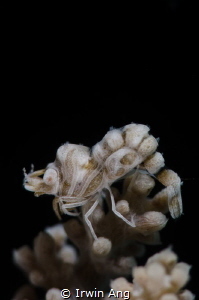 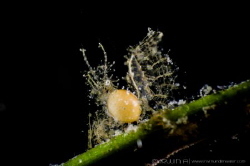 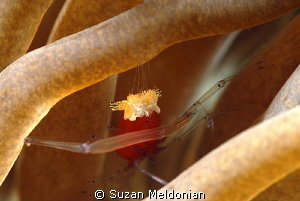 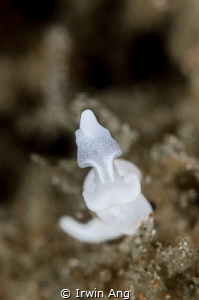 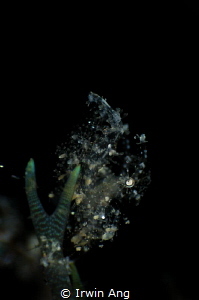 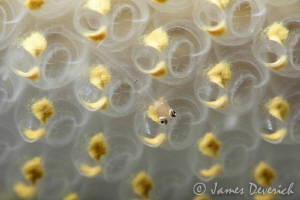 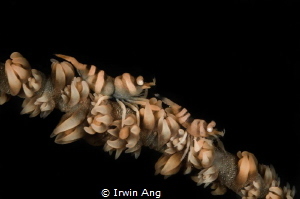 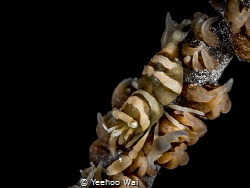 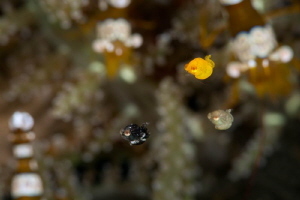 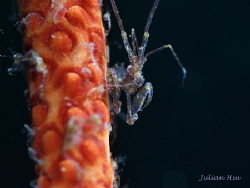 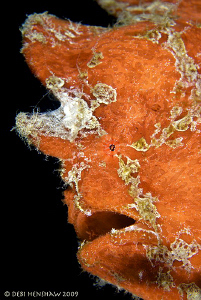 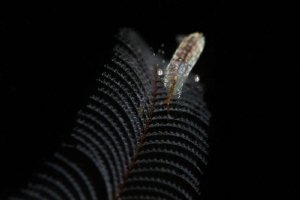 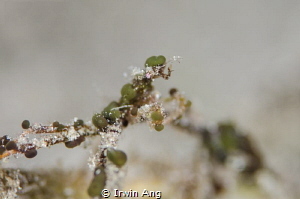 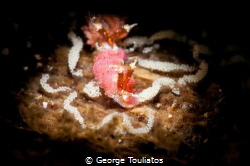 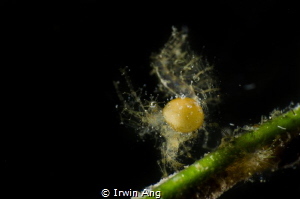 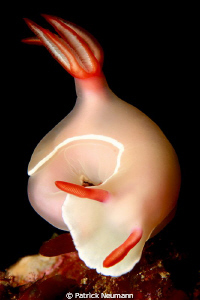 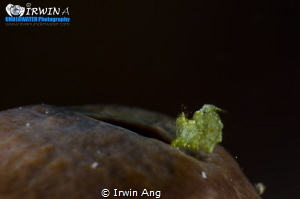 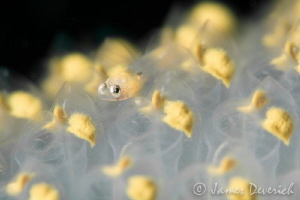 Tiny Commensal Shrimp with eggs in a tube sponge. 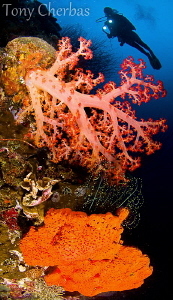 Anilao, Philippines.